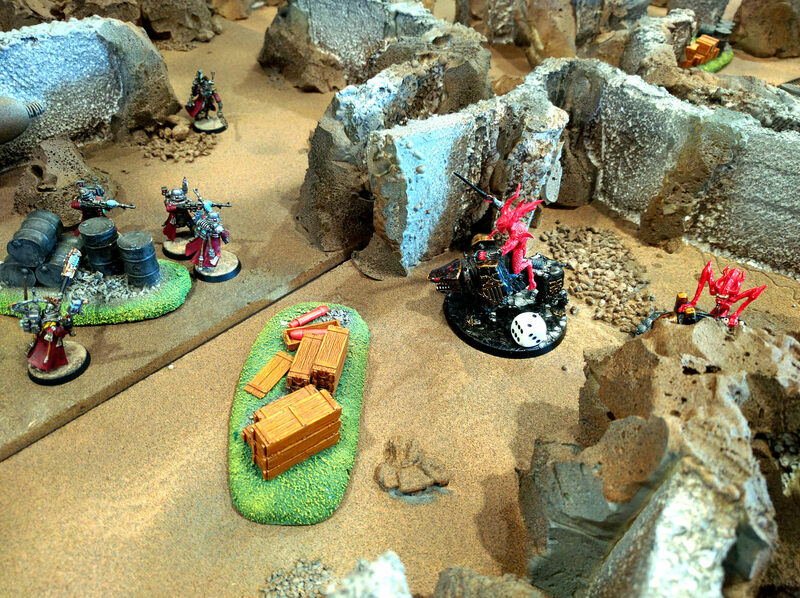 Daemonettes attack the Steel Legion’s position. 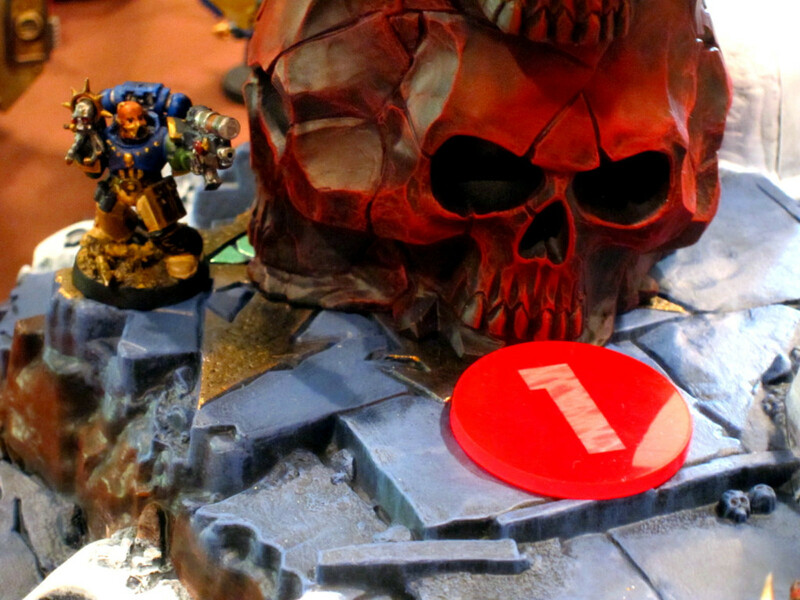 Although both days in the end came out a couple players smaller than last year, it was a stellar weekend of gaming. Supported by some fantastic looking boards and armies, the Recon Squad matches were excellent. A new terrain theme for the Apocalypse brought a different look and revised tactics to that game, while double blind deployment significantly changed the startup phase. In the end it was a full day of great 40k with giant warmachines exploding, lone sergeants defending critical positions, and everything in between. Bonus points go to Alex and Dan for making the trip to Philly all the way from Cleveland and DC respectively! Forums: Sign-up and participate in the PAGE Forums. Years ago the Legions of Discord assaulted Kimball Prime, intent on taking or destroying the primary Imperial manufactorum in the sector. After many lives given in devotion to the Emperor, the invasion was successfully brought to a halt and then itself put on the defensive. Elsewhere in the sector though the Legions finally acquired the legendary Scythe of Unbound Light super-weapon after a years-long campaign across Caldor IV. Deploying it on Kimball Prime, the traitors crashed through the front gates of the manufactorum and won the planet. With Kimball Prime fallen and its system lost, leaders of the in-sector armies of the Astra Militarum and Adeptus Astartes regrouped in secret. Drawn by the loss of a major manufactorum, the Adeptus Mechanicus joined their strategic auguries. Hungry for revenge, the Astartes proposed to conquer and cleanse the corrupted Chaos temple world of Barnes 595—an act of symbolism over pure strategy. Although initially hesitant to partake in this emotional response, the Mechanicus was swayed by the promise of archeotech believed lost in the planet’s swamps and dead forests, or buried in the collapsed sub-basements of its byzantine shrines. Gazing into the strategios, the representatives of the Imperial Guard remained silent, then assented. They were also unconvinced by the Astartes’ constant vainglorious prioritization of honor and ideals over blood. However, the cogs of the Imperial war machine had already ratcheted toward the sector. Regiments and equipment must go toward some target, and it matters little which—there is no stopping the tide of war now, and it will wash over all the sector in time. Commanders of the Legions of Discord plot their strategy. Preparing for the onslaught to come, the Forces of Order sent small teams to reconnoiter and sabotage Chaos sites on Barnes 595. These were all played using our Kill Team-style Recon Squad rules combined with our Zone Mortalis-style Mortalis Solypsus boards and rules. The missions came from a set of eight worked out for last year’s larger Recon Squad campaign. Most are asymmetric and have specific thematic objectives, e.g., defending an installation, or assassinating a special character. In this year’s smaller form, each round the teams alternated putting forward a mission, role, and player. The other team responded with a player and a table. The third match contested the default Recon Squad skirmish mission. A band of Plaguemarines manages to intercept and ambush a Deathwatch team infiltrating a Chaos planetary missile complex. The fighting quickly concentrates in a hall junction and comes down to a single warrior from each side in hand-to-hand combat. At last the Imperial veteran gains an opening and jams his combat blade up to the hilt in the rotted traitor, another pyrrhic victory won for the Emperor. Meanwhile, an Imperial commander met with a group of Tau to learn of mysterious energy signals they have detected buried within a collapsed underground extraction facility. 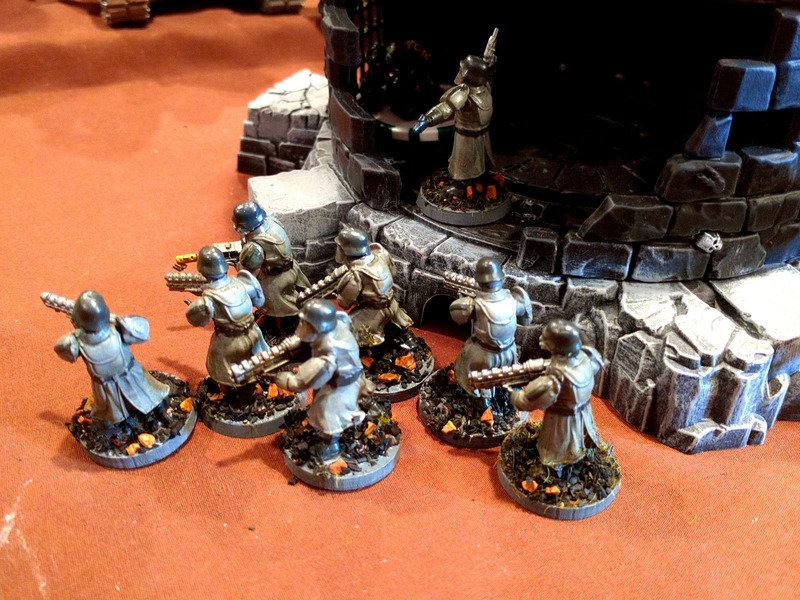 They were beset however by a pack of ancient Bloodcrushers, and unable to prevent the assassination of the commander. 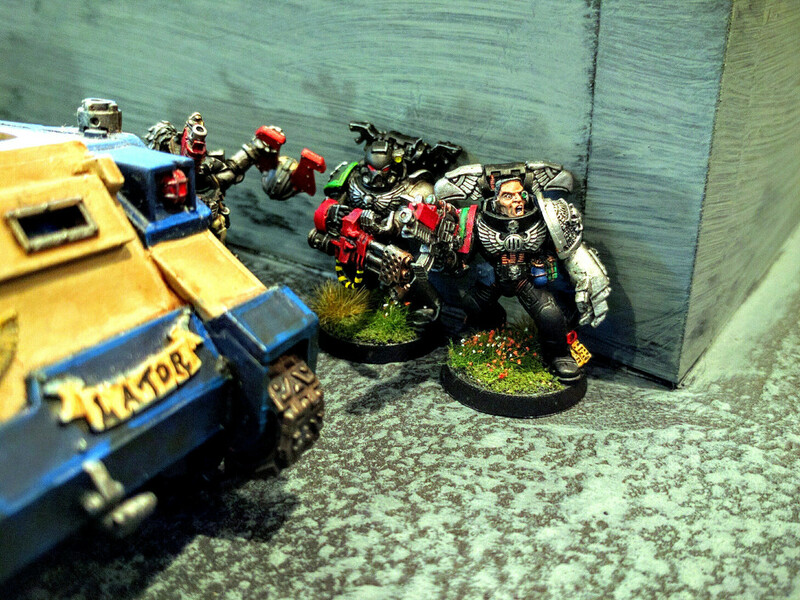 Deathwatch skulk through the missile complex. 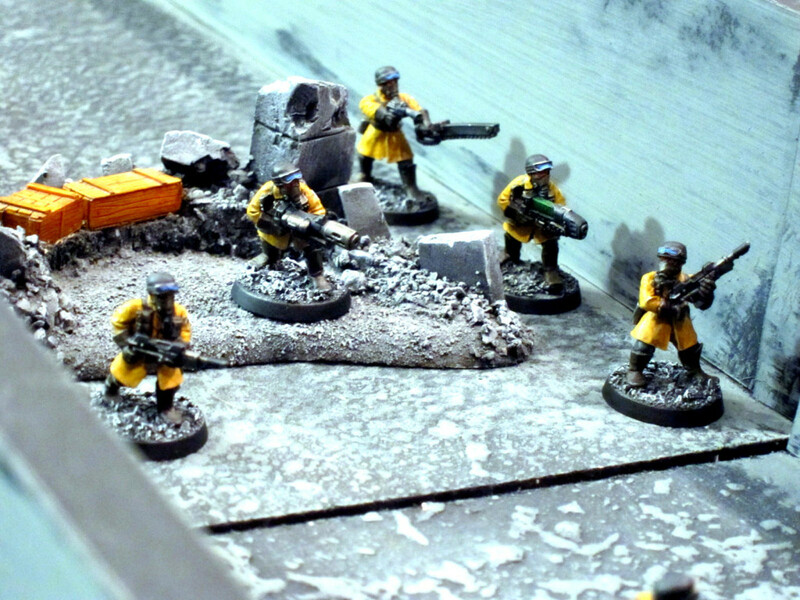 A Tau exploration team warily enters the collapsed mine. 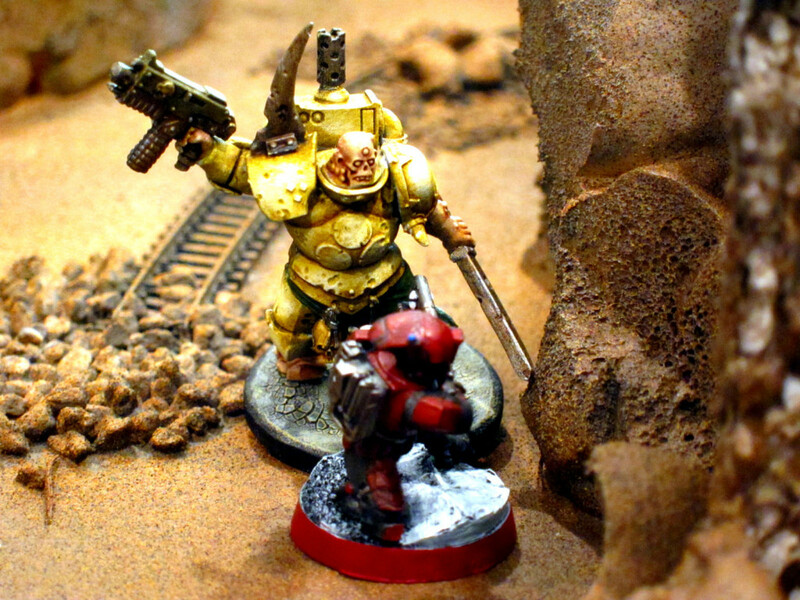 Routed by Daemons, the Tau continue their desperate struggle within the collapsed mine. 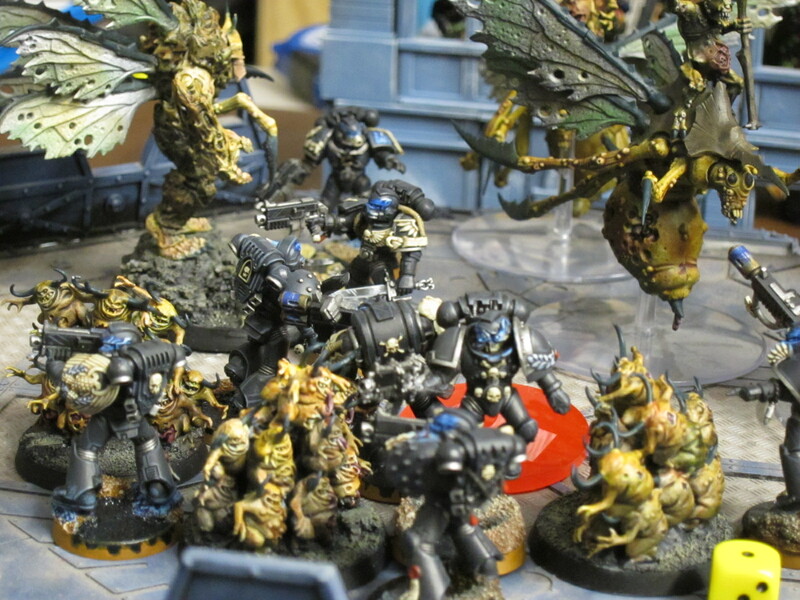 Quickly encircled, the xenos fight bravely but are caught in a pincer of Plaguemarine reinforcements. Having regrouped and treated their wounded as best as possible, the Deathwatch also continue their own fight. With the missile complex’s defenders alerted by the battle with the Plaguemarines, they are attacked by Renegade infantry. Fortunately the Emperor’s light guides them into surrounding and neutralizing the heretics. Elsewhere, the Steel Legion arrive at Barnes 595. 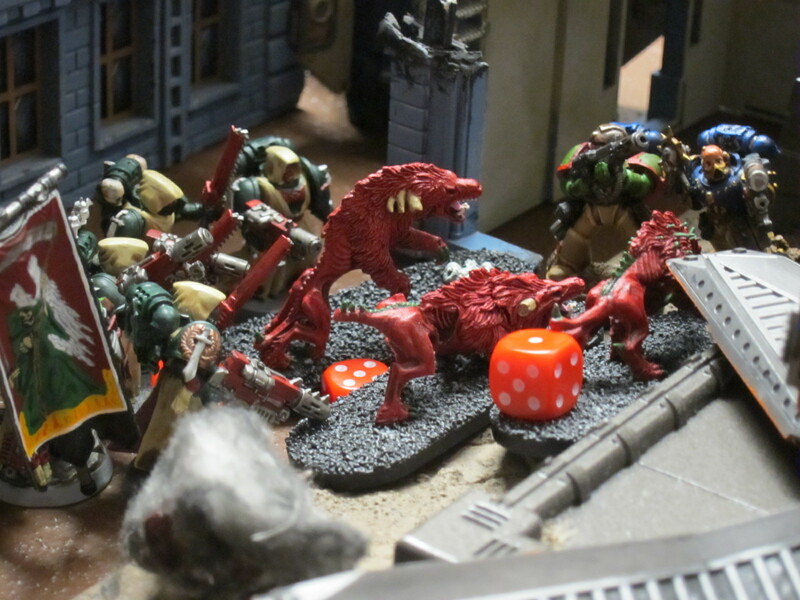 Small teams land and begin making their way through a Chaos temple serving as a gate to the missile complex. Although believed to be abandoned, the gate turns out to be infested with daemonic devotees of Khorne. The battle proceeds slowly among the site’s barricades and overgrowth, but eventually the soldiers break through. 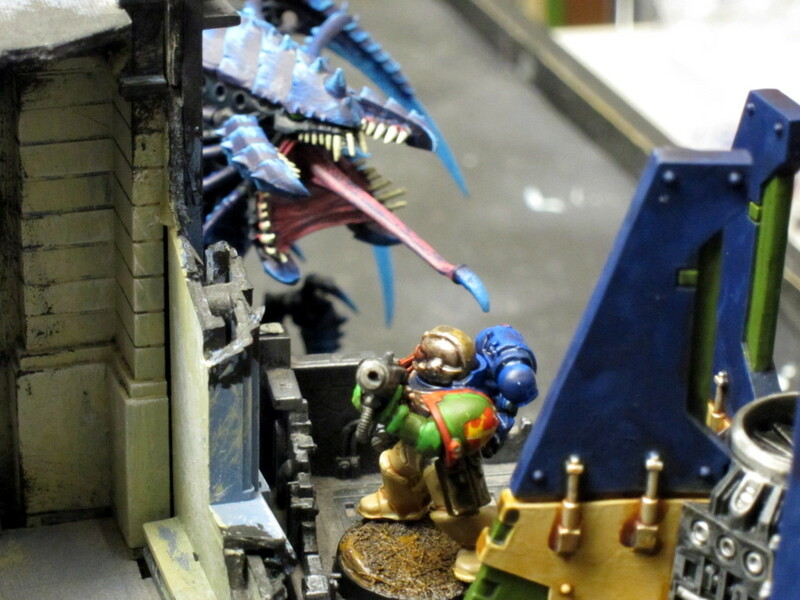 Short on ammo, a Plaguemarine resorts to simply bashing in heads. As his men hunt for the Deathwatch team loose in their complex. 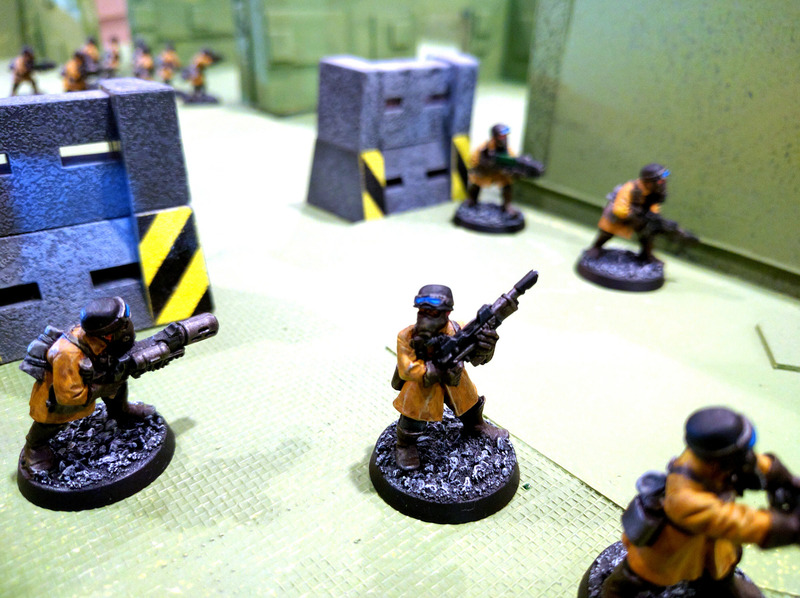 Steel Legion enter the closed-off base. Their position underground untenable, the Tau attempt to fight back to the surface. Moving into the overgrown upper levels of the collapsed mine they are caught by Renegade militia and wiped out in bitter skirmishing. 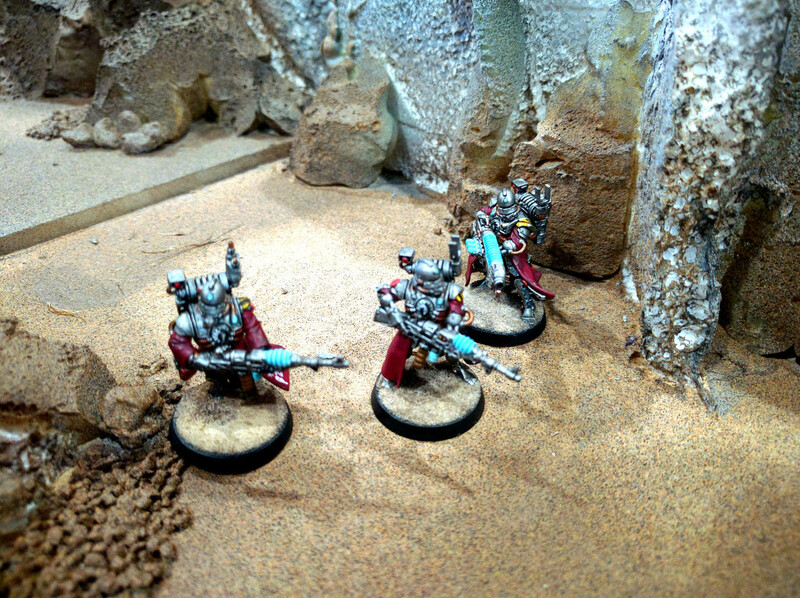 Too late to reinforce the Tau, Skitarii renew the exploration of the collapsed facility at the fore of a Mechanicus excavation mission. Although beset by Bloodcrushers at every junction, their arcane weaponry bears them through. Fighting ceases with Mars in control of whatever secrets lay beneath the choking dust. Simultaneously, a Steel Legion special missions team follows the wake of the Deathwatch into the heart of the missile complex. Though harried by Plaguemarines, they succeed in destroying a critical cogitator bank. Order won the Recon Squad matches handily, 46 to 29. Together the Imperium and allies had captured an important planetary-scale missile complex, greatly aiding their establishment of a beachhead on the planet. Early excavation efforts in the collapsed mine also unearthed a long forgotten Imperial Shrine. While battling Bloodcrushers for control of the collapsed facility. It’s worth noting that our Apocalypse games are not the cliche of just dumping out all the models you own, or whatever ridiculously overpowered Titans you happen to have spent a fortune on. A good amount of effort is put into balancing the teams. 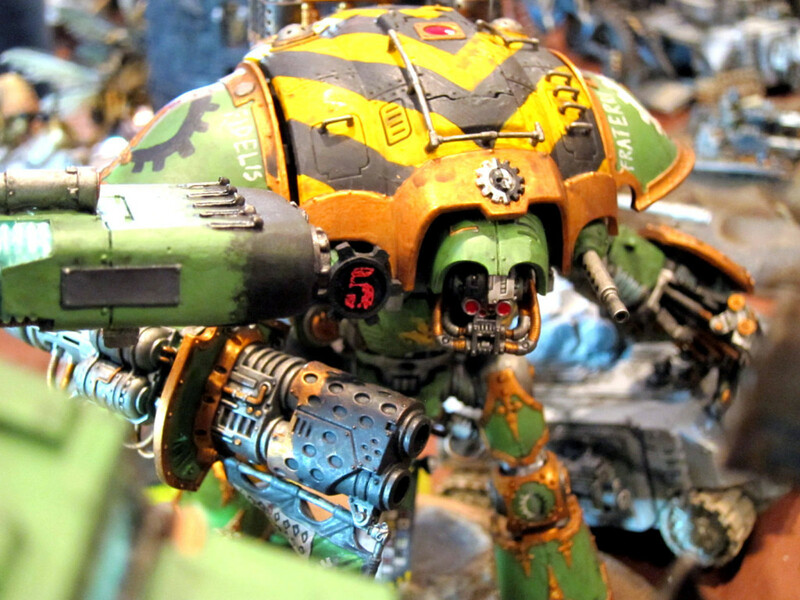 For example, all superheavies/gargantuans must be declared in advance, and models with more than 9 hull points/wounds are negotiated between the teams. Between switching players to balance for skill, asking that Reaver or Warlord Titans (!) or such sit out the game if the other side can’t match it, and so on, we usually wind up fairly closely matched. Scoring and other mechanisms further ensure that troops matter and tactics count, even as whole units are obliterated. Although a few people bailed right beforehand, this was probably the smoothest we’ve launched one of these mega-battles. We made it clear than anybody who showed up late would go into reserve, and in the end that only almost applied to me as I scrambled to finish my army list during deployment… (I was planning to reserve the bulk anyway). Everybody came prepared to fill out up to ~1k in additional points or trim down a bit to balance for the no-shows. When the time came we ran through a roll call, did some quick math, adjusted a couple armies, and away we went. A Knight Errant stalks its prey across the crowded battlefield. Having fought largely among Imperial ruins the past two years, we moved this year to a wasteland forest with many barbaric Chaos fortifications and shrines. 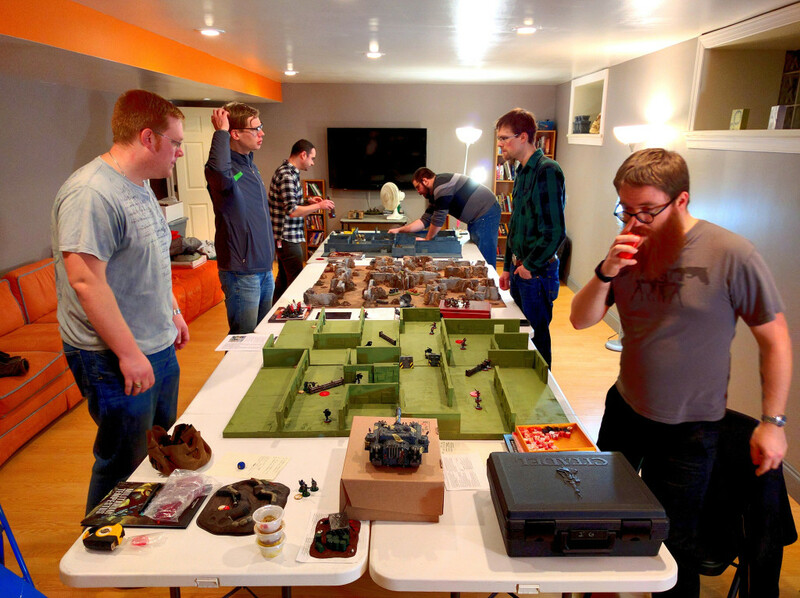 The final table was exactly 6′ by 18′, cluttered up with just enough line-of-sight blockers and scatter terrain. As usual the deployment zones were marked off with tape to speed things up and improve adherence. Seven primary objectives were symmetrically placed, two in each deployment zone and three along the midline, each associated with some particularly notable piece of terrain. After doing an ‘L’ shaped deployment last year, we switched it up even more by using Vanguard Strike deployment zones, diagonal table corners with a 2′ buffer zone. I was concerned about the reduced frontage of this configuration leading to armies just sitting around in the comparatively deep backfield. If the table had a narrower aspect ratio or our armies included less deep striking and other fast mobility that may have been the case. As it was however, there was plenty of action all over the board, with significant charges both across and down the board, as well as deep strikers and outflankers coming in from all sides. Traitor melta-bikers race through a slave village toward a Knight Errant threatening their perimeter bastions. In previous Apocalypse matches we’ve used a bidding mechanism for deployment and turn order: Both teams make a bid on deployment time, up to 30 minutes. The lower bid would deploy first and play first, but only got that long to set up. At first that worked great. In the 2014 Winter Apocalypse, Order spent a lot of time debating its need to deploy lots of static gunlines versus trying to scoop Discord for an Alpha strike, only to have Discord bid a ridiculous 3 minutes… In the couple Apoc and Apoc-styled games we’ve had since then though, both sides have taken to bidding 30 minutes, through a combination of having more players to coordinate, more models to start on the board, and most importantly wanting to play second. So this year we changed things up a lot: Double blind deployment. That’s a bold departure from standard 40k play, and risky for Apocalypse—we usually try to be a bit conservative with Apoc given the time commitment and how easy it is for things to go sideways with so many points and overpowered models in play. Physically it would be really difficult to screen such a big table so the teams couldn’t see each others’ activities, let alone to not have the screen fall and crush models. Strategically we also really wanted players to have some idea what they were facing across the table before deploying. So instead we used a two step process. We drew a simple map of the table and gave each team a copy. The map showed all the primary objectives, deployment zones, and a grid of 2′ by 1.5′ sectors. 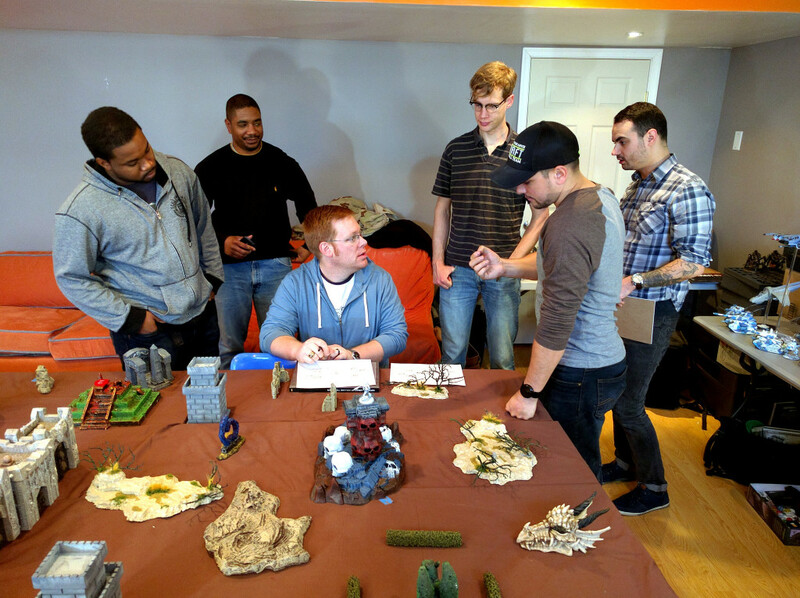 The teams then huddled up and each player committed to deploying in up to two sectors by marking up the map, also making note of any superheavies, gargantuans, mighty bulwarks, or lords of war. Those maps were then revealed to the opposing team, and the two sides simultaneously deployed. That worked well because at this scale of game players generally aren’t super concerned about the precise positioning of enemy units while they deploy, so there’s no gaming of trying to see what the other side is doing while deploying. There’s also only so much adjustment you can do within the 30 minute time limit. But you did have a rough idea of what’s likely coming after you and could take that into account while deploying. As a bonus, by deploying simultaneously, we shaved half an hour off the schedule. Choice of first or second turn was set as the prize for overall victory of the Recon Squad games. All players designate a warlord as usual, one of which on each team is nominated to be the warmaster. 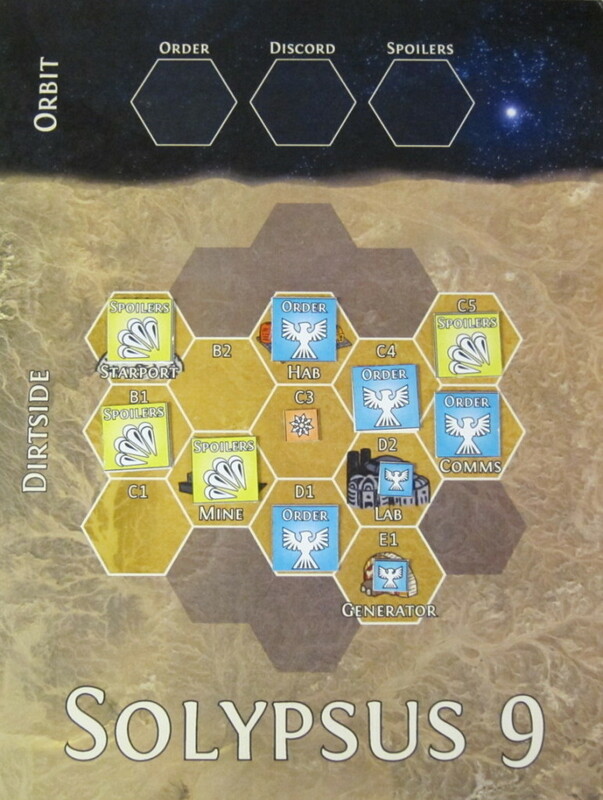 After deployment, each team alternates having each player place a secondary objective anywhere on the board, caveat the usual restrictions (at least 12″ from other objectives, 6″ from table edges). Any player and either team can score any secondary objective, they’re just placed by a particular player to represent their personal goals. Only troops may score objective markers until the final scoring, at which point all scoring units count. Eliminating a superheavy, gargantuan, mighty bulwark, lord of war, or warlord is worth 1 point each. A Harridan prepares to chow down on some Dark Angels. The rule about troops is a huge deal. It does have the downside that it encourages players to bring a lot of individual infantry rather than sinking points into big models, which makes it hard to meet turn time constraints. However, it ensures that regular troopers are critical and armies have to include a good contingent of them to be viable, which consequently makes the match feel a lot like a regular game of 40k writ huge, rather than a whole different game of giant robot/monster battles. The escalating value of primary objectives is another balancing mechanism. It’s difficult for teams to run away with the game by controlling objectives over the early turns since they’re worth so much more at the end. Conversely, by not scoring solely at the end, alpha striking and high-mobility armies are given a better chance than they otherwise would have against deathstar and brick armies. The other points for killing supers, etc., are also of course a balancing mechanism. They and the secondary objectives become less important as the game goes on and the primaries scale up, which is how you want the focus to change heading toward the end of the game. However, those single points still add up over time and are critical to overall victory, as played out in this very game. In practice this basic scoring scheme and the other balancing efforts have worked out very well, producing a number of close games over several years now. Following their successes in the Recon Squad campaign, the Forces of Order established their invasion base around the Missile Complex and Imperial Shrine and chose to play second. They turned their aim on the heavily defended Broken Altar and Warp Tower, important sites to all the disciples of Chaos. In between lay a disused Comms Tower that might be reclaimed for the invasion, a Side Gate barring the way to a complex of temples beyond, and of course the wreckage of Sergeant Titus’ Rhino, an important relic of the Kingbreakers claimed by Nurgle’s servants in the aftermath of the Apocalypse on Solypsus 9. The invasion begun, the mighty armies on both sides rumbled to war. A gang of monstrous Tyranids held captive on Barnes 595 was unleashed on the Death Korps, with many fatalities in the earliest phase of the combat as the flying ones raked their dagger-like talons across exposed infantry. Worse, a Crassus superheavy armored transport poised toward the enemy lines was obliterated before it could even move from the landing point, with the entire platoon inside lost to the Emperor’s grace. A desperate struggle between the Death Korps and the gargantuan Tyranids towering over them would last throughout the battle. Meanwhile, in Order’s backfield, a coterie of Slaneesh’s followers lead by a formation of Daemonettes made a devastating surprise attack. Spawning directly onto the Steel Legion’s lines, many tanks were immediately destroyed. Only after prolonged fighting and the death of the Order warmaster was their charge finally blunted by the arrival of the Shadowsword Indominator. No longer imperiled, the Steel Legion supported the Valhallans moving on the Comms Tower, as well as the defense of the Imperial Shrine and Missile Complex. Matching that aggression, squad after squad of Kingbreakers, Grey Knights, and Dark Angels dropped directly into Discord’s backfield. Dark Angels claimed secondary objectives while Grey Knights fought Dark Eldar come to capture whatever they could in the heat of battle. Kingbreakers fought valiantly all around the Warp Tower and contested the site for some time, but were ultimately overwhelmed by the flood of Daemons and Daemonkin pouring into the area, guided and supported by the Renegades sworn to Discord warmaster Hellboy. Major movements and drops throughout the game. All across the land in between, daemons and traitors clashed with the Emperor’s finest. 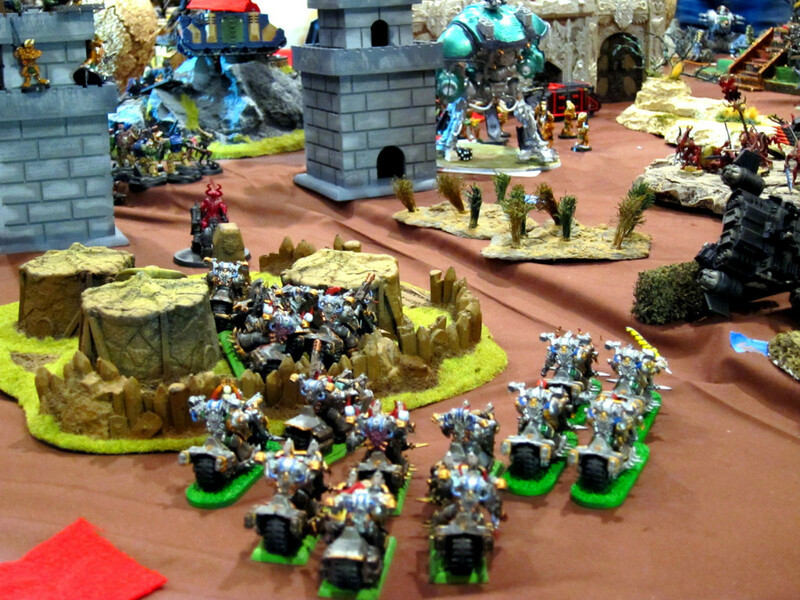 Dark Angels made an early play for Titus’ Rhino, but were eventually pushed off by the legions of Nurgle inexorably marching to reclaim the prize they had so carelessly left laying around. Valhallan air cavalry flew bravely into the daemons guarding the Comms Tower and successfully held it at several critical junctures. 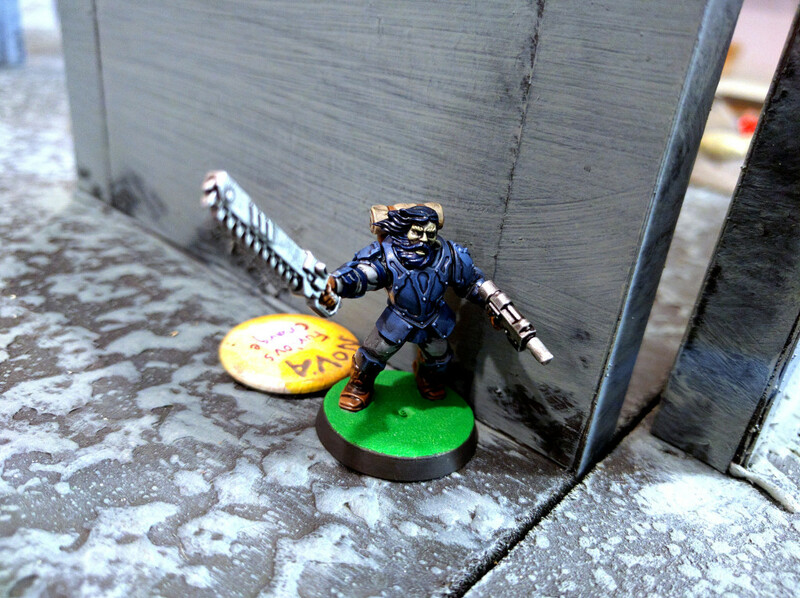 By their landing base, Commissar Yarrick almost singlehandedly defended the Missile Complex despite repeated wounds that would have been mortal for any lesser man. Nearly all the armies wound up engaged at some point in the fierce battle for the Side Gate as one unit after another claimed it, only to be blasted away and replaced by another in rapid succession. Throughout all this, Adeptus Mechanicus light units guarded the Imperial Shrine while their heavy war machines were dispatched up and down the Order line wherever a heavy threat appeared. Surely the center would have caved but for a Warhound Titan come to lock in close combat with an enraged Hierophant. By the Side Gate, a Cerastus Lancer bravely launched into combat with Angrath, piercing the beast squarely to dispatch him back to the Warp and save that flank. On the opposite end, Knight Errants and Castigators blasted away at giant Tyranids and Daemons alike as they fought over the Missile Complex. Many irreplaceable war machines were lost throughout the battle, but no doubt their sacrifice prevented the total collapse of Order’s position. In the end though that was all the might of Mars was able to ensure. The steadfast troops of the Legions of Discord stood firm against the combined attack on the planet. With their strike forces extinguished or hastily falling back, by the end the Forces of Order had been rebuffed, claiming little more than their initial beachhead. Although not repulsed entirely from the planet, the effort to cleanse the temple world had ground to a halt, its only trace yet more bones rotting among the dead forests and abandoned shrines of Barnes 595. Monsters and war machines towering over the troops below go at each other’s throats. A Death Korps Marauder swoops in to aerial combat with a Harridan menacing its Guard compatriots below. 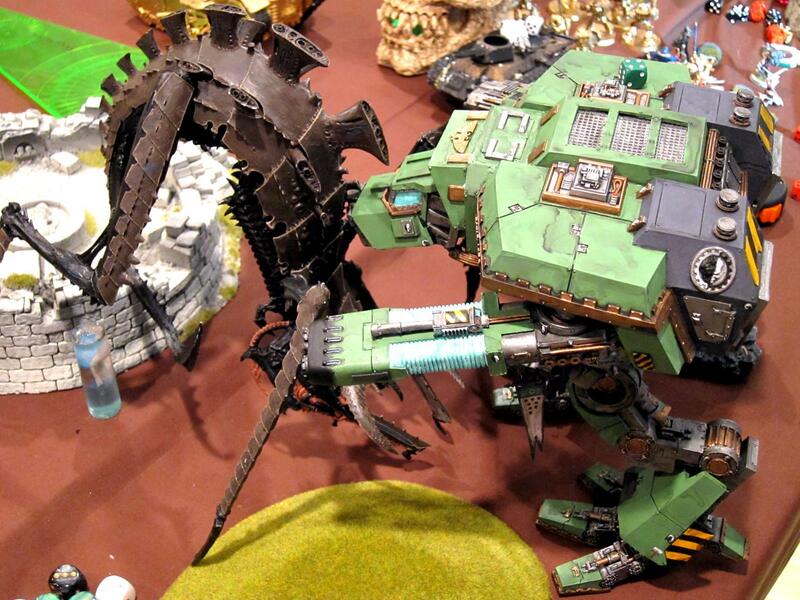 A Soulgrinder prepares to crush a lesser walker. 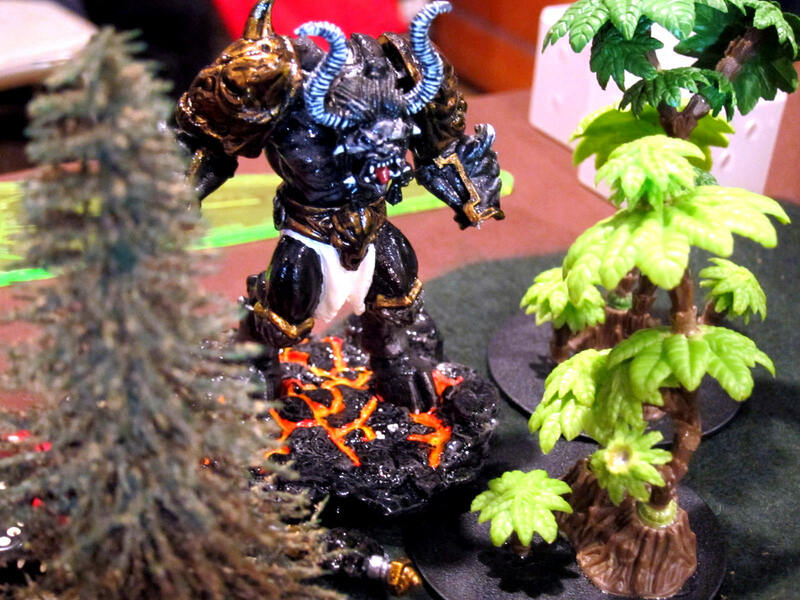 A molten daemon lurks in the bushes. Troops prepare to give their lives by the score. I wouldn’t want to play Apocalypse all the time, but with all our balancing mechanisms and other rules it’s actually a really good, strategic and tactical game. As a small example, one of my own favorite stories from this game is that of the Kingbreakers’ Sergeant Harbinger. He and his Tacticals are part of the mass Drop Pod assault on the Warp Tower objective in Turn 1. His men blow up a Rhino, the rest of his squad gets obliterated, and he ducks back behind his Drop Pod while other units contest that primary objective. Next, Captain Angholan splits from the Deathwatch team he dropped with, and I have a choice: Charge him at Samus now, or use him to wipe out Bloodletters standing between Harbinger and the objective. I go for the latter, and the Chaos players look at me like I’m silly for giving up the preemptive charge on Samus. Turn 3, the Kingbreakers on the objective have all been wiped out. Samus has gone after Captain Angholan, who blocked him from doing anything else and stood there taunting the beast. But Sergeant Harbinger alone now has a clear path to run up onto the Warp Tower base and just barely contest the objective, shocking Discord and denying them 3 points. Didn’t win the game, but didn’t hurt either. And it wouldn’t have happened without just a bit of advance thinking on my part and forcing moves and mistakes on my opponents’ part to make sure I had that one Tactical left and a clear path for him. Meanwhile I’m also making larger decisions about where to commit reserves, use my stratagem, etc.. So even though it might look and even sometimes feel like a silly game of simply putting down units, shooting, and removing units, at least in the form we run Apocalypse there is actually both tactics and strategy. 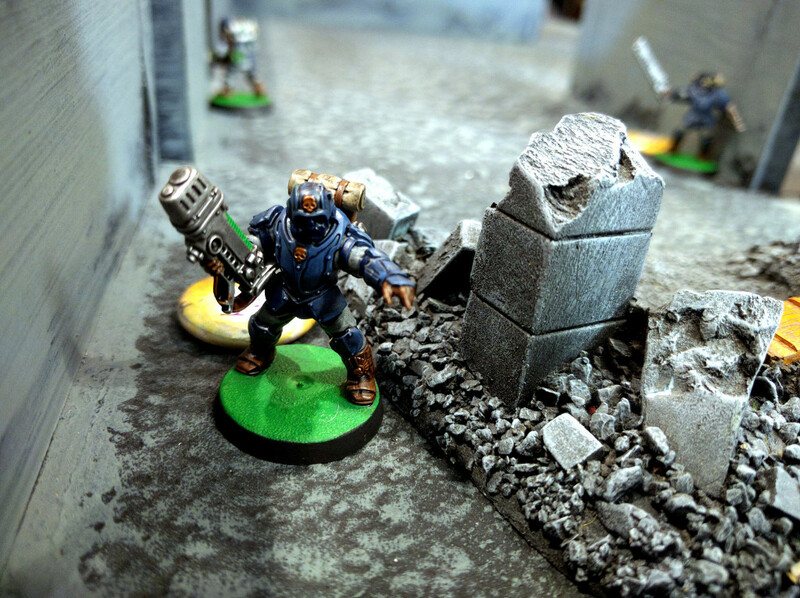 Sergeant Harbinger contests the Warp Tower objective, against impossible odds. This was a very back-and-forth battle. Order opened the game in the lead, felt like it lost all momentum in the middle, then rallied to pull close but not enough to seize the day. In the final tally Discord won, 79 victory points to Order’s 70, a close result given the scoring structure. The last turn was a nail-biter right down until we’d gone over the final disposition of the objectives twice and tallied everything up. The turn-by-turn breakdown lines up with how I felt things were going during the match. Order essentially lost on Turn 3. Taking ten less points that round was the biggest turn deficit of the game, and we never made it up. By the end of that Discord player turn I was actually telling Lovell that we were getting creamed and would be lucky to not fall tens of points behind and have zero hope for the remainder of the game. Fortunately Order managed to make some desperate moves that just barely tied us on primary objectives for the turn; I was shocked to sum everything and find us only seven points behind overall. But we got smoked on secondaries and tertiaries that round as Discord contested a bunch of our home base markers and destroyed a couple superheavies and warlords. With our alpha strike depleted that was just too much of a gap to cover by the end. Turn-by-turn breakdown of the scoring. Tone down the alpha strike. It can’t go away completely just given some of the armies and players. But it should be smaller, and be better concentrated on taking and holding specific objectives. Part of this is that the forces being dropped need to be modernized and hardier: More Centurions and Venerable Dreadnoughts, fewer ridiculously brave but foolish Tactical Marines. Amp up the alpha strike! Just go for broke, and dump a lot more forces on the other side of the table early on. Sure, we’ll regret it horribly as the bad guys roll right onto our home base objectives. But so what, as long as we’ve taken theirs? Further, most of their stuff moving across the ground might be either blocked or more or less forced to turn back and reckon with the drop. Elite Valhallans fly over the battlefield on their mission to take the Comms Tower. The big meta-point to make that happen is that we probably need to establish a commander not also entangled in organizing this and many of our other events. With the Winter Combat Patrol and NOVA taking up much more time than I had hoped, I wasn’t able to foster any team discussion leading up to the Apocalypse. What little strategizing did happen pre-game was actually instigated by Colin stepping in to help out. Which, you know, is awesome, because it basically amounts to the Discord warmaster saying “You puny Imperials are no match for our dark strategies! Come, come, please talk amongst yourselves such that you may offer at least some challenge to our warriors!” With Colin at the helm, Discord does just a bit more planning over army focii; use of reserves and their entry vectors; and stratagems. Although we generally manage to keep the games close, that extra bit of coordination shows in the closing turns and the slightly higher percentage of Discord wins across all our Apocalypse battles. Back to the organizational side, I have just a couple notes for next year. One issue in this match was that the armies were too large. Discord in particular had a hard time completing all of its actions in the early turns. Next year we should cut the baseline back down to 3000 points, but allow people to field up to 4000 if at least a quarter of that is made up of superheavy, gargantuan, or mighty bulwark models. That way they should have a low enough model count to be a touch more comfortable in the turn time limits, yet still field lots of toys. A Knight Castigator marches toward deadly combat with rotted Scabeiathrax. We should also perhaps try to find a way to limit how many different sections of the table in which a single person can have units. That’s tough, because sprawling interaction across a huge landscape is part of the appeal of Apocalypse, and important to some armies playing more of a supporting or counter-attacking role. You can’t limit people down to a single table or such, as then you may as well play separate games in a linked campaign. But that’s a major cause of slowdowns, when one person is getting shot at or is in assaults all over the place. Even with other people helping resolve them, it’s a bottleneck. One possible idea is to have players secretly record several reserve vectors and deep strike locations on the map, and only allow their reserves to enter from those sectors. Obviously many units could still move around the board quite a bit regardless, but that would prevent a great deal of the spreading out which occurs. Most people shouldn’t have armies literally all over the place because it hurts their focus and encourages mistakes, let alone generally weakening their forces. But lots of people do, and as a side benefit, a mechanism like this would cut down on that. Finally, although this is just a free, semi-invitational event, next year we’ll probably require $20 deposits to sign-up. For those that show, the money will be put toward food for the day and the remainder returned, or maybe we just put it toward club expenses or new activities. It would not be returned for people that bail after some cut-off close to the event. That will likely eliminate the usual couple of people who sign-up but aren’t committed and simply don’t come through, as opposed to those that legitimately have something come up at the last minute. Although not without its trying moments in preparation, this was another great event. Some old friends made the trip, some new friends joined up, and we had a bunch of excellent Recon Squad games and another epic, closely fought Apocalypse featuring some interesting new mechanisms. Again, there are tons more photos in the Flickr gallery. We’ll see you next year! The Lord of Skulls cares not the victor, for he wins the loser regardless! More photos are in the gallery. Results and a few details are on the event webpage. Months ago a starving Tyranid horde dropped on the small, forgotten, and largely barren Imperial outpost of Solypsus 9. Caught off guard, Imperial forces rushed to defend the colony and safeguarded the major technical installations, reinforcing the Mine, Lab, Comms Tower, and Starport, but leaving the miserable civilian population trapped within the Hab Blocks to be overrun and feasted upon. All manner of xenos then joined the fight, whether simply to revel in the bloodshed or for darker motivations. The significance of Solypsus 9 then shifted, as the Forces of Order continued reinforcing the planet rather than abandoning the fight or declaring it Exterminatus. Meanwhile the Spoiler Horde made a new, purposeful assault on the Laboratory and knocked the defenders back to the Generator. Intrigued by this deeper shading on the conflict, the Chaos gods finally sent their minions and champions to the conflict. Intense multi-faceted fighting between all three alliances splintered control for the colony, knocking the Spoilers out of all the major installations and securing a breachpoint on the planet for the Legions of Discord among the Hab Blocks, and Order regaining the Laboratory. Seven players turned out for the Apocalypse on Solypsus 9. The board was 12’x4′, with lightly themed terrain sections representing the colony’s six installations: The Laboratory, Mine, Hab Blocks, Comms Tower, Starport, and Generator. Primary objectives were placed roughly evenly in fixed locations for each of those. Secondary objectives were then placed by each alliance outside their own deployment zone; these wound up largely along the centerline of the battlefield. Each player designated a warlord as usual and one of these for each alliance was chosen as their overall warmaster. Battlefield for the Apocalypse on Solypsus 9. 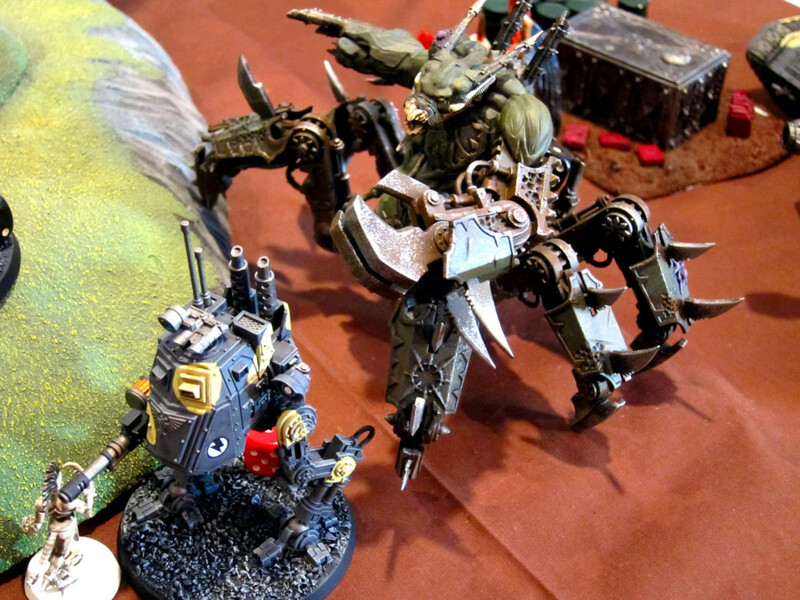 Superheavy vehicles, gargantuan creatures, and mighty bulwarks: Two victory points for each such enemy unit destroyed. We also ran an individual tournament inside the battle. Before the game each player selected an overall mission for their alliance to work toward and be scored on. Throughout the battle they also earned points through personal tactical achievements, such as holding an objective or killing psykers. Personal missions and achievements amidst the Apocalypse. 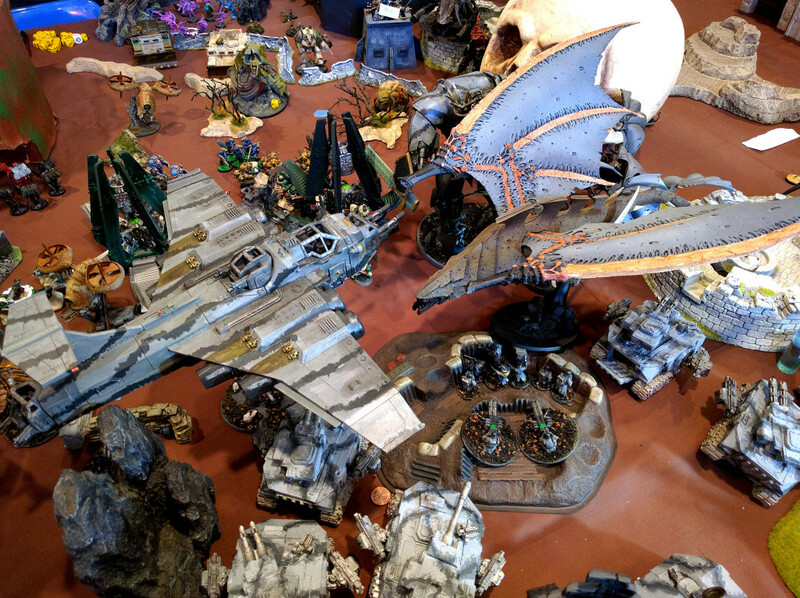 With a keen interest in why the Imperium had not simply written off the barren rock, the Legions of Discord once again descended on Solypsus 9. Their onslaught quickly supplanted the Spoiler Horde both physically on the planet, and mentally in the minds of the Forces of Order. With its existential foe now truly engaged, the Imperium had no choice but to commit all of its greatest resources to a final apocalyptic showdown for the planet. Older minds, however, had other plans. Though their increasing presence throughout the war should have been a sign, all were caught off guard by the eruption of a Necron Citadel below the Hab Blocks, pushing aside and crumbling entire buildings as it rose to the surface. Solypsus 9 was thus revealed as a hidden tomb world, sleeping through the eons until the fighting awoke the martial ranks of the Old Ones. Chaos warriors and daemons quickly adapted, implicitly working in tandem with the automatons against the arrogant Emperor. Against this combined threat, the Imperium’s finest leapt into battle. The Swords of Dorn and the Sanguine Hunters dropped an entire army onto the Necron Citadel. Squad after squad rushed from Drop Pods and Stormravens in an urgent attempt to preempt the legions of Necrons sleeping within from gaining a foothold on ground level. Kingbreakers dropped on the Starport directly among entire buildings of Nurgle’s pustulent champions in hopes of preserving orbital access from the ground. Dark Angels drove amongst the heavy machinery, cranes, and power silos of the Mine against the Iron Warriors building a fortress in its works. Kingbreakers Squad Harbinger and Dark Angels Tacticals work to purge the alleyways and rubble surrounding the Hab Blocks. Necron constructs engage the Swords of Dorn deploying from their Drop Pods. But even as the alpha assault struck hard and Discord seemed to teeter on the precipice, the opposing forces were simply preparing for the counter-attack, the battle hardly begun. 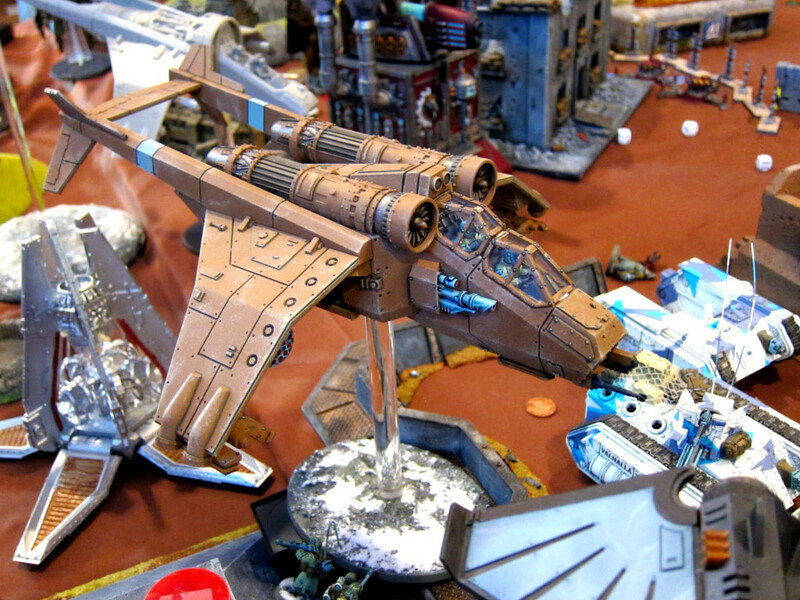 Fleets of Necron flyers darkened the skies, raining bombs and Gauss blasts on ground forces before discharging Necron Warriors into vital positions. Their soldiers deployed to a myriad of critical locations across the battlefield, they then turned and took up dogfights with the Imperial air forces, harrying them throughout the conflict. Thus supported from the air, their legions quickly struck at the lightly guarded base of the Dark Angels’ charge on the east flank, contesting the Generator. 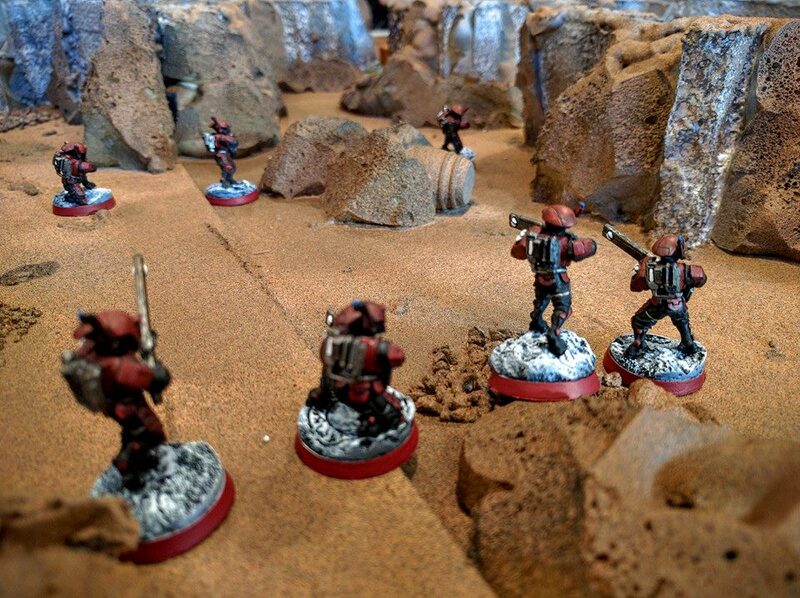 Meanwhile, the first chapter’s forces already in the field were slowly ground to a halt against the impregnable defensive positions the Iron Warriors had already constructed among the Mine’s works. Their assault was finally completely repulsed when a Decimator’s malefic demon spirit rose from its own wreckage to lay Ezekiel low with a furious fusillade of Butcher Cannon fire. 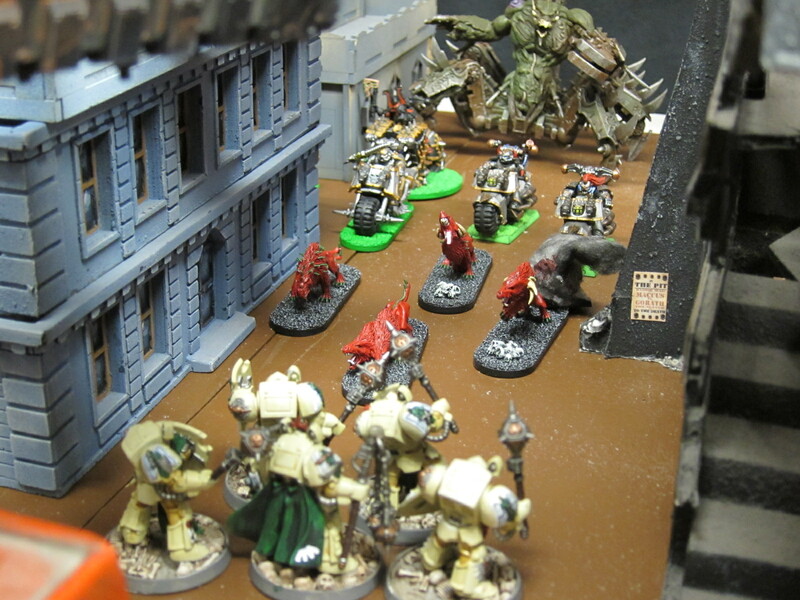 A Soul Grinder exhorts Iron Warriors and Flesh Hounds on through the alleyways toward the Dark Angels’ advance. 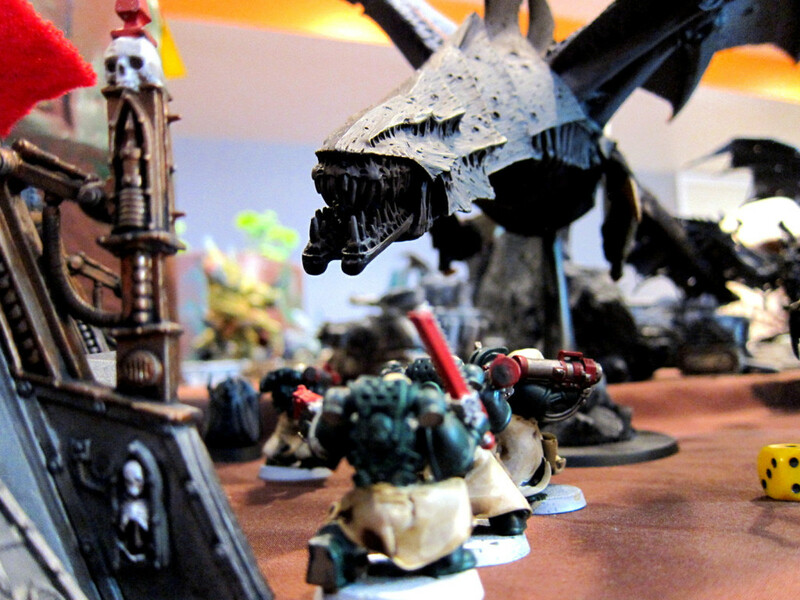 To the west, Kingbreakers and Nurgle daemons swept back and forth in mortal combat. Far extended into enemy territory and hotly embattled, the tide shifted for the Imperials when burning warriors of the Legion of the Damned materialized among their midst, blasting away the plague-ridden enemy hosts with eldritch fire. Such were the numbers of the horrors however that even this was not enough, and final control of the Starport came down to the lone Sergeant Titus holding his ground against a chittering insect daemon, locking the monstrous creature in close combat long enough for the facility to be secured. At the beating heart of the battle, the Swords of Dorn and Sanguine Hunters together fought wave after wave of Necrons emerging from their risen Citadel. Harried by daemons prowling the edges, they carried the fight to the very entrances of the underlying tombs, eventually overcoming the defenders and stemming the tide of living metal gushing forth. The Swords of Dorn fight to the very doorstep of the tombs. Nurgle is beset on all sides by the Legion of the Damned. From the mounting piles of dead though lumbered the most horrible monstrosities. Towering above them all loomed The Lord of the Blighted Pit himself, Scabeiathrax. Called through The Warp by the rampant suffering, disease, and death wrought by the campaign, The Maggotspore coalesced into being already shuffling inevitably toward Order’s defensive line around the Laboratory. From mighty Knight Errants to foolhardy Tactical Marines, any that dared oppose its path were absentmindedly swept away by its foul claws. Soon it came to stand over the burning carcass of the Laboratory complex, unchallenged by all the Imperium’s might. 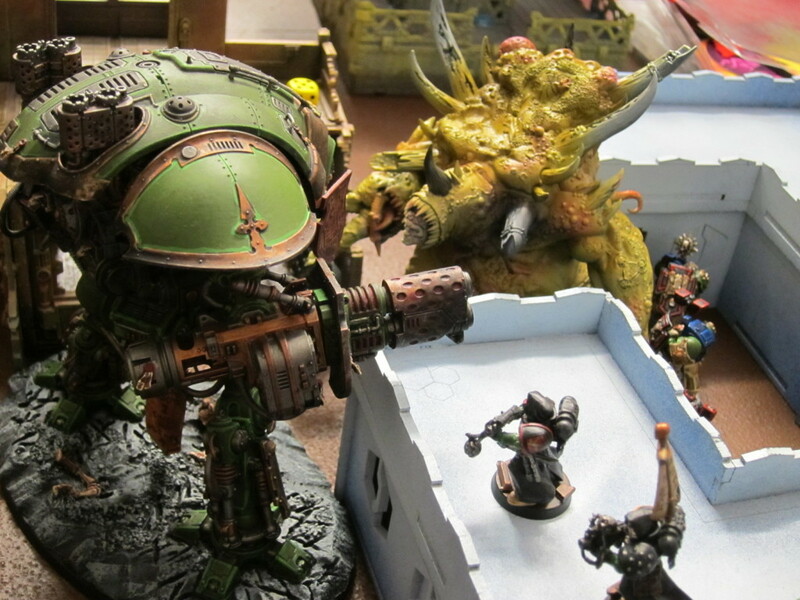 Scabeiathrax and the Knight Errant Greenheart face off among the Laboratory. After six turns, The Forces of Order emerged triumphant with 61 points to The Legion of Discord’s 51. At the final moment, Order held the Hab Blocks, Comms Tower, and Starport, while Discord claimed the Laboratory and Mine, and the Generator remained contested. Jason and Alex won the individual honors for Discord and Order respectively with their daemons and Swords of Dorn, as well as claiming all the painting votes. 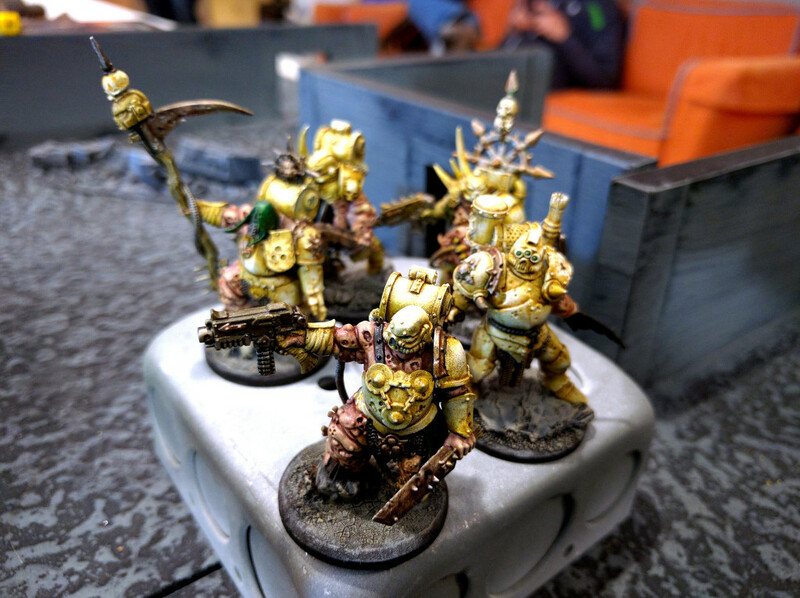 TJ’s Sanguine Hunters claimed the prize for best general. This was the last stage for now of the battle for overall control of the colony. Later this summer though the combatants will descend into the wreckage of the Laboratory and Mine in search of the secrets buried deep therein. Stay tuned for yet more fighting in the campaign for Solypsus 9! Even on one knee in his mountainous power armor, Titus had to jam his chainsword into a rent piece of deck plate to keep from sliding back. His free hand instinctively tried to hold together his shattered torso, but of course could do nothing through the bloodied remnants of his armor. The furious windstorm beat by the daemon’s insectile wings was near overpowering. More than twice as tall as he, it was even more imposing nonchalantly hovering a few feet off the ground. Dismembered parts of his squadmates rolled past Titus in the gale and off the edge of the landing pad the monster had turned into its personal arena. As the wind shifted aside for a moment, Titus’ head lolled heavily, utterly exhausted. He saw what had caught the monster’s attention, a technical team moving into the nearby control buildings to attempt to activate any of the remaining bulk lifters. The beast gave another of its piercing shrieks, ratcheting up the pitch and volume so high it somehow blew out all the circuitry in his helmet. Vox traffic, sensor signals, the constant noise of a roiling battlefield, it all cut away instantly. In the sudden silent clarity that followed, Titus understood. He was going to die here, or worse. But if he could keep the daemon engaged and away from the control building, he would die doing his duty to the last. Shakily he stood up and freed his chainsword. With not a moment to spare, he charged forward and drove its revving blade up to the hilt in the side of the beast’s chest. It screamed at an even higher pitch and turned back toward Titus. Now he had its full attention. 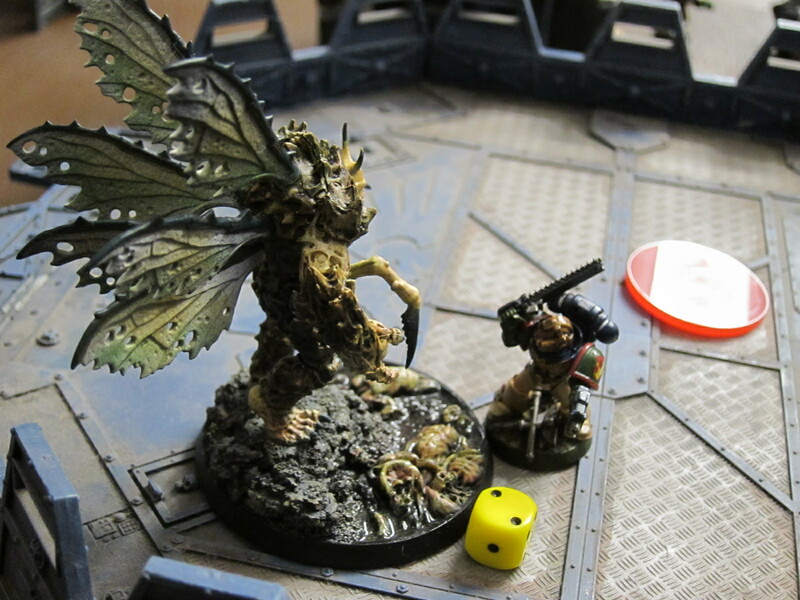 Titus battles the daemon fly to keep it from the control building. 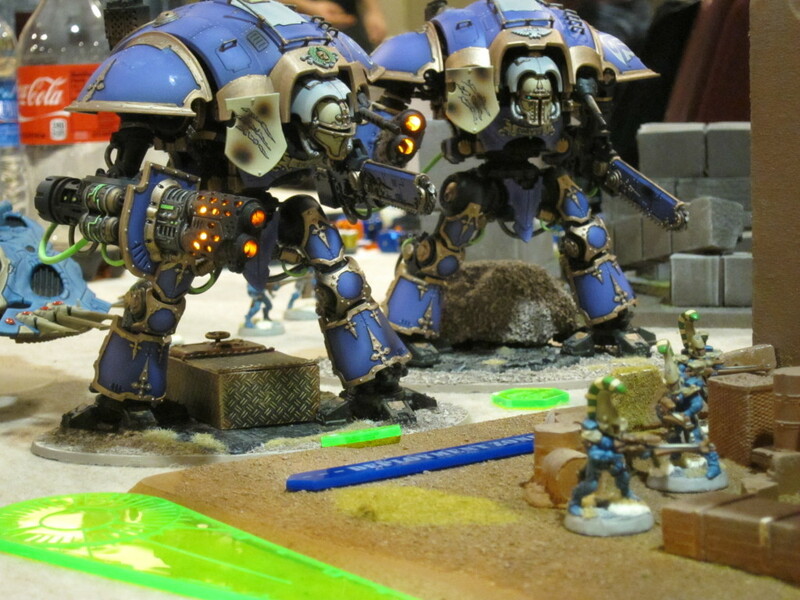 Someone asked on DakkaDakka today “What makes a good narrative tournament?” My club is very much committed to narrative play in Warhammer 40,000 (40k) and other tabletop wargaming, and has held a number of story-heavy events over the years. 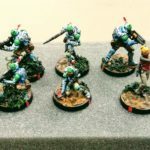 Among those, for the past seven months I’ve been organizing the monthly 40k events at my local shop (with which I’m not otherwise formally affiliated) as narrative tournaments. I’ve also played in a few other such events outside our group, notably the NOVA Narrative. Suffice to say, I’m way excited about this topic and have a few thoughts. My experience and comments are mostly ground in 40k, but all of this is generic and applicable to other games. 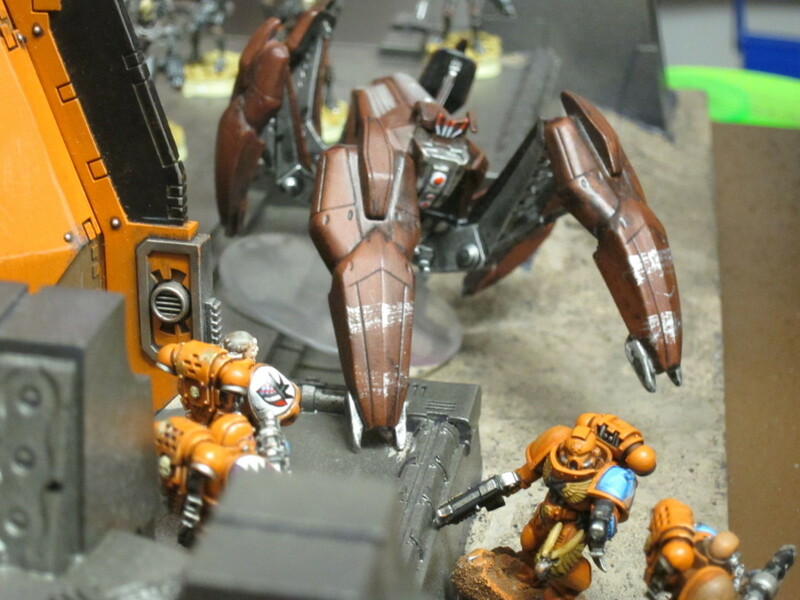 I note up front that I reference the NOVA Narrative repeatedly below because it’s among the most prominent and widely known narrative tournament events in 40k, and therefore among the most prominent in tabletop wargames, as well as one outside my club with which I have direct experience. A few of the comments are criticisms, but they’re meant with all due respect and as hopefully constructive notes. That’s a super fun event, it’s well executed, the organizers are amazing, and I’m devastated that I cannot by any means make it this year with the rest of my crew (I’m expecting my firstborn the week before). I do though think that some aspects of its design includes pitfalls that I would guess are fairly common for narrative tournaments, including my own events. Title page from our Caldor IV campaign tournament series packet. 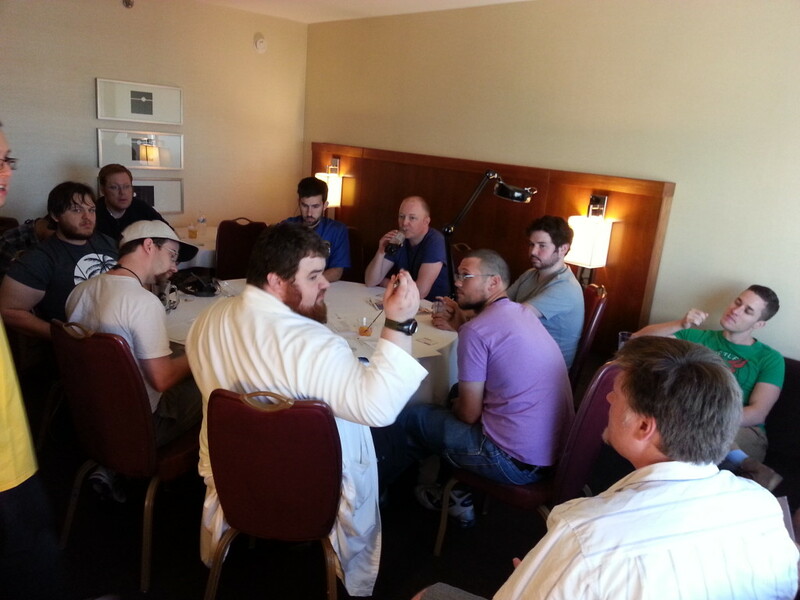 Much as in wargaming overall, there’s a spectrum of organized events. On the one end are competition focused events, with more or less mathematical tournament structures, more or less tight mission design, limited or sidetrack painting & hobby components, and zero concern about fluff and story. At the opposite end is totally narrative play, with the only thing distinguishing it from casual pick-up play being that there’s a story being built or utilized, and some kind of minimal organization of players and matches. Obviously there’s a space for both. 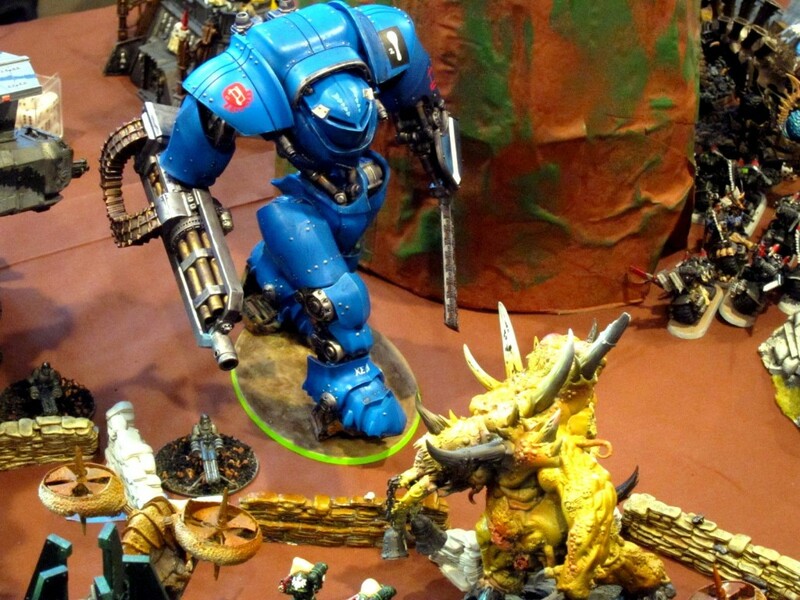 Though I’m not myself engaged at any kind of serious competitive level in 40k or any other game, I’d argue strongly that a vibrant competitive tournament scene is a good and critical thing for most games’ long term longevity and, if properly utilized by the designers/manufacturers (*cough*), actually adds a lot of value to the game even for those not interested in participating directly. But fluffy play is also great; our club has gotten immense value out of events we’ve organized purely to drive narrative. 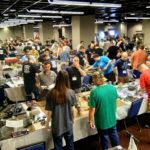 I’d also argue that most 40k tournaments at least actually aren’t very far on the spectrum toward pure competition, especially smaller, regularly scheduled shop or club events: Missions might have some wacky elements, tournament scoring often isn’t well published, there might be more or less arbitrary army composition restrictions or rules modifiers, painting and/or sportsmanship components might be significant, and so on. I don’t think it’s a huge stretch then to fit some narrative elements alongside tournament aspects and fall somewhere in the middle of that spectrum, and there are good reasons to do so. 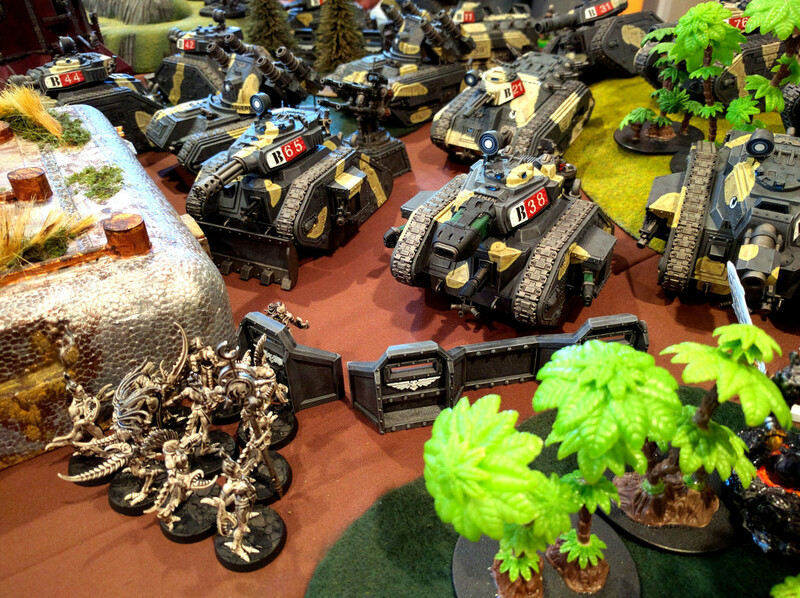 With the monthly 40k events at our local shop, I’ve been specifically trying to see if we can get both the fluffy and the competition-oriented players engaged in organized play. Our tournament crowd is fairly well established and dedicated, but somewhat small. We do though have another contingent that’s much more motivated by narrative and team-based play. It would be great if we could run at least some events that were appealing to both and get everybody out at once. Emphasizing narrative and hobby components also tends to push against poor behavior and win-at-all-costs play. The two event types can also bring a lot to each other. I’ll touch on this more later, but one aspect of tournaments frequently overlooked by less competition-minded players is that a typical, proper tournament pairing mechanism works toward players competing against opponents of similar skill level. That’s a great feature to incorporate into an event and try to ensure people are having fun games. In contrast, many campaign structures can unfortunately lead to devastating matchups, often repeatedly. For example, it can be tough as a new player competing in a classical map-based campaign if a neighboring opponent on your borders is a hardened, competitive veteran. 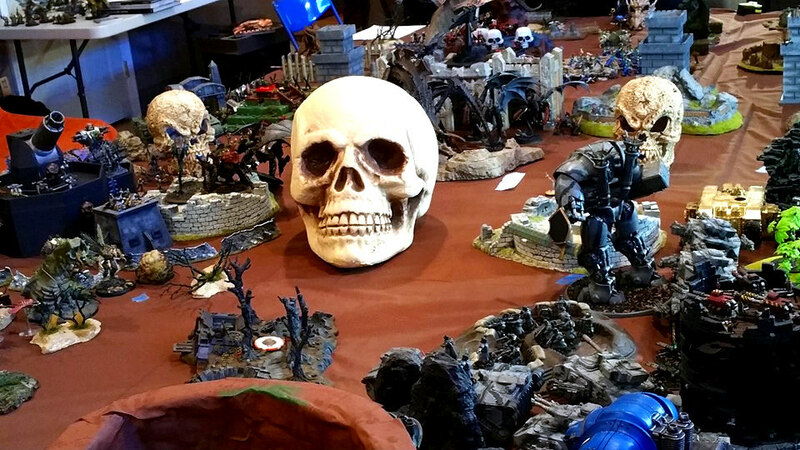 So, over the years and especially recently, I’ve been experimenting with different approaches, from riding light narrative overtop standard tournaments, to embedding tournaments and prizes inside campaigns and narrative. 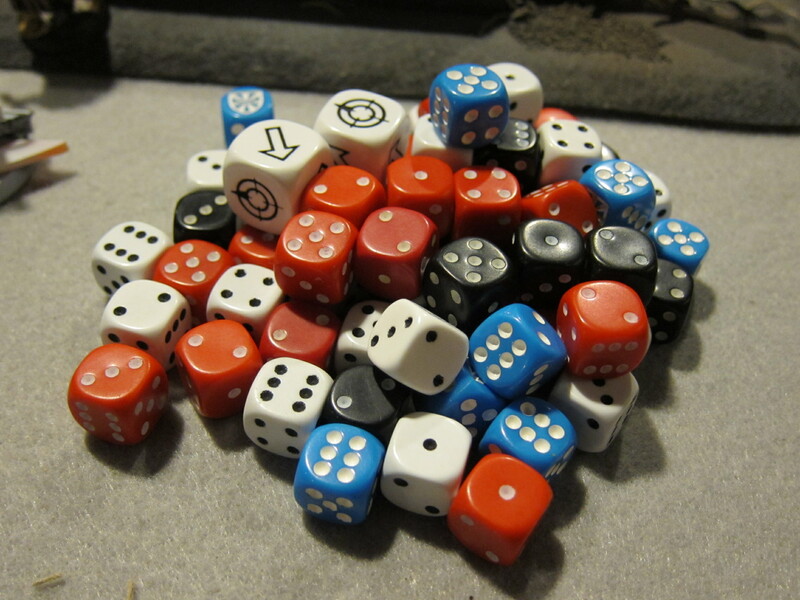 We all just want to roll dice. But sometimes there’s dramatic narrative! “Narrative” is, of course, an imprecise term, with several dimensions: Detailed or abstract, storyline or vignette, and so on. Many of my battle reports feature a paragraph here or there with a short, isolated vignette about a particular event or character in the game, and I personally frequently consciously field lists and play with a style emphasizing dramatic, story-oriented actions in line with and developing my army’s character. Over time all those separate, simple bits of story have yielded an elaborate emergent narrative. Everybody in my club is at least vaguely aware of different major storylines of my chapter of Space Marines and its major characters. In a more top-down and a priori fashion, right now a group of 40k players in my community are running a campaign league (that I’m not in) featuring elaborate creative fiction about the armies, their commanders, and the battleground, with everything being written over time into a long-running, detailed narrative. The NOVA Narrative storyline is fairly extensive and lengthy, has emerged from the overall outcomes over the years, and for both better and worse is essentially entirely unrelated to the official 40k universe. As a narrative tournament organizer and designer, I mostly try to keep the story fairly light, providing some theme and background while letting the outcomes themselves drive the story. The explicit narrative is usually just a few paragraphs of background text, and a short, marginally dramatized accounting in my campaign reports relating the progression of events. 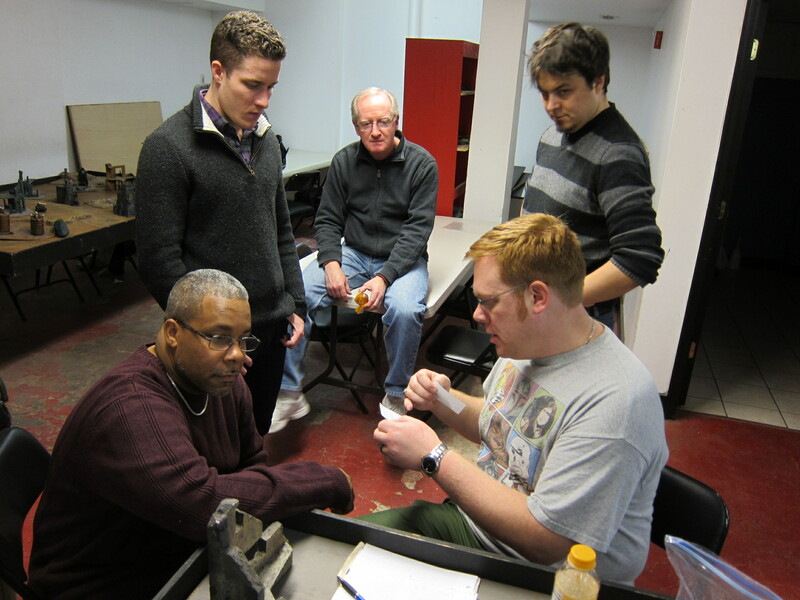 A good example is the report from our most recent event. In general, I don’t spend a ton of time crafting and writing explicit narrative. Most of it’s coming from the players and exists in their head and the community gestalt, and is all the more powerful for it. My goal is just to provide basic structures enabling that better than straight tournament or pick-up play. For example, in our current campaign there’s a touch of backstory about the planet and what’s going on, but it’s very short and light. There is though a map, and on it is a Starport, which one player decided he particularly cares about, even though it doesn’t help him in-game at all and offers only modest benefits to his alliance. At some point he just came out with a short narrative that his army really wants to ensure they can get off this Emperor-forsaken rock once this war’s over and is terrified they’re going to get stuck there, so they’re fighting like hell to take and hold the Starport. He’s made that a vocal priority in the strategic discussions within his alliance, and the other players know he’s fighting for it and talk about it. That’s a great emergent narrative. At the same time, he’s also one of our better players and has been able to pursue that personal story and motivation while competing for the tournament prizes. The map for our Solypsus 9 campaign, featuring the major installations. The structures enabling that and what “narrative tournament” actually entails in practice then fall on that same spectrum above of being more or less oriented toward fluff or competition. The key things are that there’s a narrative—a story being built and/or motivating gameplay—alongside a tournament. In this context the latter is a flexible term and not necessarily a mathematical tournament structure, though it might be. I take the minimal requirement as being that there are points being awarded to individuals, standings, and prizes of some sort. For a competition-oriented example, years ago I ran a Combat Patrol tournament league for 40k skirmishing. One of the gimmicks was that the small games (750 points) permitted the missions to be asymmetric, with matches actually consisting of two games with opponents alternating roles. Those matches though went into a pure tournament structure. Players earned individual points, pairings were straight Swiss across everybody, and there was a final single ranking of all players and prizes awarded based on that. But those asymmetric game results fed into an abstract narrative about a planet being invaded, and the Attackers and Defenders respectively fighting to advance on or defend a critical site. It wasn’t detailed at all, but it was a real story and collective narrative progression that people who cared could follow and talk about, while others could just play the tournament. Campaign map from the 2010 Combat Patrol Tournament League. At the opposite end of the spectrum, Saturday we’re running a 40k Apocalypse mega-battle to conclude our Solypsus 9 sequence, an all-in battle royale of all the players in a single all-day game. Although my club’s Apocalypse battles are much more structured and organized than nearly any I’m aware of, that’s basically necessarily a heavily narrative-oriented event rather than a competitive one. We are though collecting entry fees and awarding store credit prizes. In part that’s to give something to the shop for hosting us, but it’ll also add some excitement and motivation. Clearly though there’s no recognizable standard tournament structure since it’s just one big match with everybody playing as teams. Instead, the match component of our scoring (we also include painting and sportsmanship) and the eventual player rankings will be based on personal in-game achievements designed to emphasize narrative play. Declare an opposing warlord your sworn enemy and then personally ensure their demise? Earn some points. Hold the site of one of your fallen characters? Earn some points. So, it’s all fluffy and loose, but it does incorporate some competitive aspects alongside very much narrative play. In between those two extremes are the majority of the events we’ve been running the past half year. A defining feature of these has been that players are organized into alliances and make collective strategic decisions. I specifically use “alliance” to differentiate from team-based play as in doubles tournaments, which we love and also run, including inside the narrative frameworks. Players within those alliances don’t play against each other, caveat some significant exception, and the alliances have substantial input on the tournament pairings. In our setup they alternate putting forward a player toward some narrative action and the other alliance(s) responding with an opponent and a specific board to play on. Thus the attacker declare a campaign objective, and the defenders choose the specific physical terrain for the battle. The NOVA Narrative works very similarly, and I would guess this is somewhat common and a major feature of what most people identify with “narrative tournaments.” Notably, this arrangement is derived from some of the major team tournaments, another instance of serious competitive play contributing a more generally useful structure. On the one hand, this is a huge draw for a lot of participants. 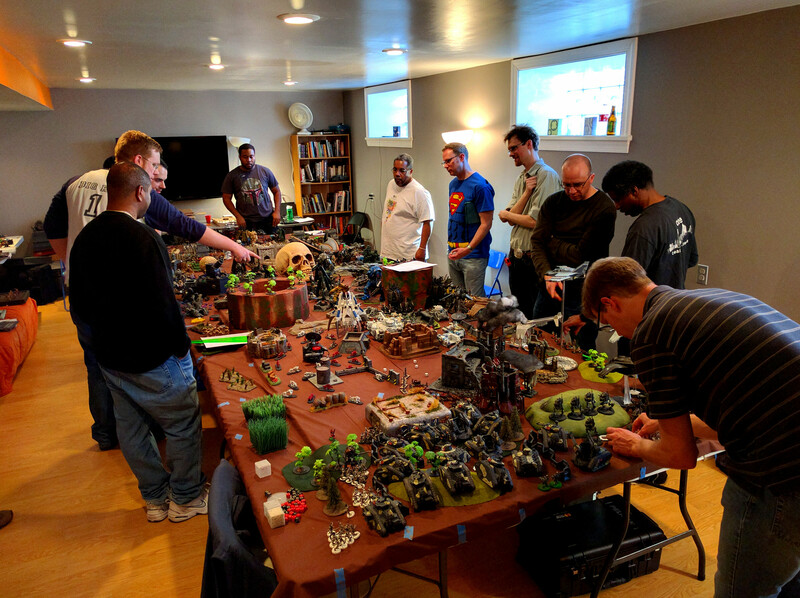 The games themselves remain standard and players field their full armies, but they also get to enjoy teamwork and cooperative strategizing. Depending on the complexity of the narrative framework, alliances might have a ton of discussion about campaign level strategy and decision making. Certainly there’s typically a lot of discussion about which armies are the best to put forward to take on any defender, or which should be held back to try and respond to specific attacking armies, and so on. Lots of people really love and are excited by those discussions, and to a large extent those that aren’t can just ride along. Kramer Doyle, humanity’s commander, sends the Kingbreakers off to space to do battle against unimaginable enemies and impossible odds. A Humanity Commanders’ strategy session at last year’s NOVA Narrative. And start back over at lesser value. That’s worked out well in our environment. Once or twice the top prizes haven’t gone to players who had the actual highest scores (i.e., the 2nd highest scoring player was on the same alliance as the 1st), but usually they actually do, and the prizes are small and spread around anyway so it’s no big deal. Similarly, although the NOVA Narrative has a variety of prizes, individual standings, and is actually a tournament, that’s all downplayed enough in favor of just playing the campaign that I actually had to consider for a moment whether or not that was the case. Besides accommodating narrative mechanics, this diffusion of prizes and the small stakes tends to work against overly aggressive and poor behavior and is an approach we had previously adopted in non-narrative tournaments. Of more concern to me is that organizing into fluffy alliances according the allegiances and relationships inside the game’s fiction universe tends to result in roughly the same groups of players and game factions facing off against each other all the time. At some point Necrons should themselves have to fight against their own hateful Decurions, which they never will if they’re always together in the same alliance. Players in this scheme also may not get to play against particular friends if they’re in the same alliance, there might be intrinsic imbalances across the alliances based on their available forces, and so on. Our events this summer are not going to be implemented this way, so that we break up the alliances for a while and players face a larger set of opponents and factions. Alliance tokens for the Solypsus 9 map. The biggest concern about this style though is that it doesn’t intrinsically balance players like proper, Swiss-pairs styled and bracketed tournament pairings eventually do. It’s very easy for alliances to generate a lot of theories about who might be best to put forward based purely on factions or lists, and not at all take into account player skill and results, something I’ve seen at both NOVA and our events. That can be unfortunate if newer or weaker players wind up repeatedly set against much better opponents or armies. To some extent we’ve worked to mitigate that by having alliance commanders guiding the discussions and explicitly coached to keep fair pairings in mind, accounting for actual skill and results rather than just theoryhammer. Recently we’ve also attempted to explicitly address this mechanically by scoping the set of players that may be put forward as a response, i.e., only opponents with similar scores/results/bracket can be matched against an attacker. That way a baby seal can’t be just thrown into a clubbing. This year’s NOVA Narrative is enacting very similar controls by breaking the pairing process up into battle groups determined by rankings within each alliance, with comparable groups coordinating matches. If an event is relatively large these mechanisms can entail significant logistical effort to work out the valid possibilities and present them to the alliances, particularly as they don’t fit within essentially any tournament scoring software, but are worth it. In smaller groups though it can be infeasible to both apply such restrictions and have enough pairings. After all, even two alliances cuts in half the number of possible opponents. Mechanics and plausible narrative justifications for pairing players within alliances if necessary are certainly feasible, but can be tricky and work against the fluffy narrative. Ultimately these alliance-controlled, deliberate pairings are a major design tradeoff with pros and cons. They’re a major positive feature of many narrative events, but organizers should be aware of these downsides. The Legions of Discord stare into the abyss after a rough first round in the opening event of our Caldor IV campaign tournament series. Another big design point is how the narrative or campaign interacts with actual gameplay and tournament execution. Alliances are a big tradeoff on the latter. But many non-tournament campaigns and narratives employ asymmetric missions, award army or model buffs, and have other impacts on the games themselves. That’s difficult to work into a narrative tournament setting because they’re quite likely to impinge on the integrity of the competition, and these features unavoidably skew the event more toward narrative versus tournament. Depending on the group and the event’s goals that might be perfectly acceptable, but generally needs to be very carefully designed and balanced. The more clearly an event is advertised toward narrative play the more that can be done in this direction. However, unless they’re very committed to a campaign or narrative, it’s ultimately hard over time for any players to accept and be excited about meaningful advantages being given to opponents in actual games, which is a detriment to the success, popularity, and longevity of any event. Related, any gameplay effects generally need to be as simple as possible. Much tabletop wargaming and 40k in particular is already so varied and complex that many players struggle to play quickly, let alone keep up with all the opposing factions. That’s exacerbated by time constraints typical of a single-day tournament, though a league format might be more amenable. Additional boutique gameplay modifications will only slow down games, press time bounds, and potentially frustrate players. Banner for the Solypsus 9 campaign. As an example, the NOVA Narrative features extensive gameplay changes which probably took a lot of effort to develop and have some positive features, but for some players can also detract from the overall experience. One part is a series of optional supplemental rules and army composition tweaks for each game faction. In some cases they do actually make weaker factions more competitive, but in others they arguably buff already very strong armies. 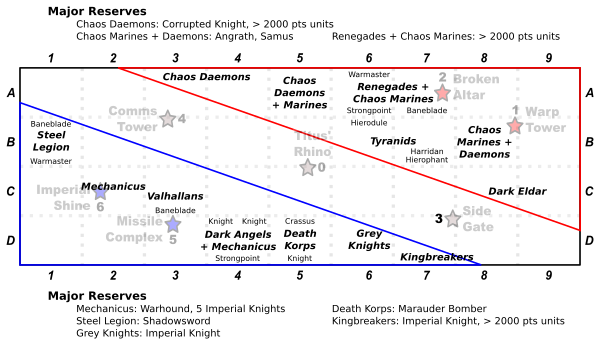 Worse, these new rules add to the whirlwind of faction rules and exceptions in 40k. Our club already had a confusing discussion about army list construction for this year’s NOVA when it became difficult to track what rules were in the official books, and what were from the event’s narrative supplements. NOVA Narrative also has extensive terrain rules and other board effects contingent on choices made by the alliances and what theater the battle is representing. A positive aspect of these are that they add a lot of alliance strategy, e.g., determining which army is most likely to survive the meteors falling on some boards. On the other hand, these are a whole new set of mechanics to be remembered and then applied in-game, in some cases with fairly substantial random effect. From my own events, recently I tried to add essentially warp rifts and ghosts to a few missions in order to tie in some of the overall story elements into the gameplay. Some people were interested, some were not, one was terrified because the leadership effects were going to be a huge problem for his Ork army. In the end though nearly everyone forgot to apply them consistently or at all, and my effort toward these was wasted and that narrative-to-gameplay tie-in failed. Even the core 40k rules demonstrate this, in the Mysterious Objectives rules that apply different random effects when units first claim ground objectives. In my experience, many if not the majority of players consciously or unconsciously forget about these entirely even when tournament organizers include them in missions, because they can be unbalancing, though generally minimally, but are always unpredictable and yet another, in this case non-critical, mechanic to be remembered and processed. Advantage: Big guns offered a clear incentive for the players to both remember to utilize them, and to take efforts to do so—nobody forgot about those guys. Because of the issues above I’ve by and large been restricting narrative effects to the campaign or story itself, isolated from actual gameplay. That way if they’re imbalanced people are still winning and losing their personal games fairly, games are kept straightforward, and people not interested in those aspects don’t have to deal with it. But limited mechanics that meet those five characteristics can tie narrative and campaign structures into actual gameplay even within a tournament. A very successful example of this from the NOVA Narrative that we’ve adopted into our events are Covert Missions. 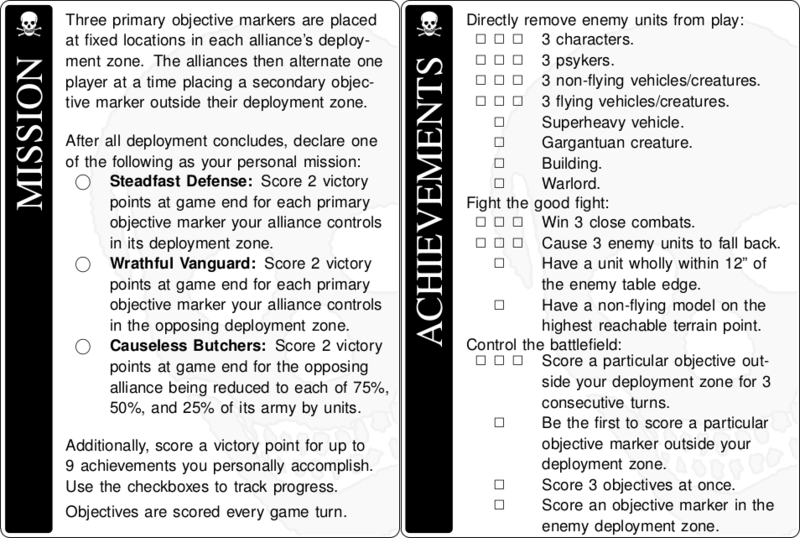 These are simple additional objectives given in secret to the players of the trailing alliance. Their primary effect is to help keep the sides roughly even and maintain the campaign tension. But they also give players with little hope of winning their match something else to achieve even in the face of defeat. The rewards though only apply to the narrative or campaign and the alliances’ standing, so they don’t unbalance either particular matches or individual rankings. As such, they meet all of the criteria: Written correctly they’re simple and straightforward to apply; they’re a known effect the player can actively play toward; they don’t in any way imbalance the games or tournament; and they offer a real, tangible award to the player. All told, they offer a strong narrative aspect while also being totally ignorable. In practice though, hardly anyone will set them aside. Many players I’ve seen at both NOVA and our events have felt more than redeemed to get crushed in a match but secure the covert objective for their alliance, while other competitive players have been disappointed to win a match mighitly but not achieve their covert mission. 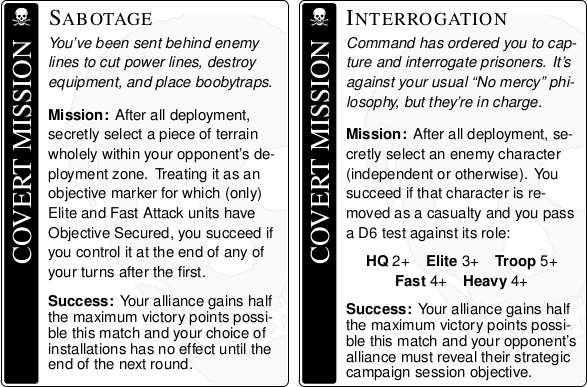 Two sample covert missions from our Solypsus 9 campaign. The last major aspect to touch on is setting expectations and controlling the tournament environment. Again, “narrative” means a lot of things to a lot of people. It could mean bringing a fluffy army scrupulously designed to match creative personal fiction or canonical game universe details even at the cost of effectiveness. Or it could mean throwing all your biggest, most expensive and rare and powerful models on the table because they’re the most dramatic units in your faction’s background and damn that’s good narrative! In many cases those two approaches don’t exactly line up well, to say the least, and the clash of expectations can easily frustrate players. This is the only real negative I and others in my club have with the NOVA Narrative, that it doesn’t control for this mismatch (unless we’ve missed some update for this year’s event). For example, it looks like the very much competition-oriented Grand Tournament track of the convention will actually impose greater restrictions and debuffs to (arguably) overpowered units currently in 40k than the Narrative will. That’s asking for trouble if one player understands the latter event as a relaxed, casual, story oriented event, and another reads it as anything goes because it’s “not a real tournament” or simply has a different idea of what’s overpowered or not. In our events we have been fortunate that there’s a fairly solid community consensus on what’s appropriate, most people are prioritizing mutual fun, and we have some favorable basic demographics—the older and better resourced players are largely narrative oriented and relaxed, while the more competitive players are mostly too young and too restricted financially to readily whip out the latest face stomping units. Reintroducing basic hobby scores, via a straightforward and objective 5 line metric (all models assembled; all models painted; all models based; some models advanced painting; some models advanced basing). Reintroducing two-factor sportsmanship scores (scores per match, and then ranking enjoyable games). Incorporating a variety of awards and having more rather than larger prizes. Significantly debuffing classes of units deemed problematic by the community through mission scenarios and scoring, rather than actual gameplay rules changes or outright bans. None of these problems or solution approaches are unique to narrative tournaments, but the issues are potentially exacerbated by trying to straddle both story-oriented and competitive play. Organizers of these events should be especially carefully that event advertisements and mechanics are properly aligning and enforcing expectations. To the larger picture, emphasizing narrative and team oriented structures is itself in part a useful tactic to preemptively discourage hostile play and poor sportsmanship. Narrative play also offers opportunities for less skilled players or those fielding intrinsically disadvantaged factions to attain achievements, contribute to a team, or simply develop a good story and have a good time even while losing matches overall. These are major motivations for adopting these kinds of events and elements. 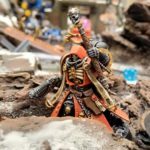 To conclude, we have online some examples and mechanics writeups from our 40k events that may be of interest or use to potential narrative tournament organizers. 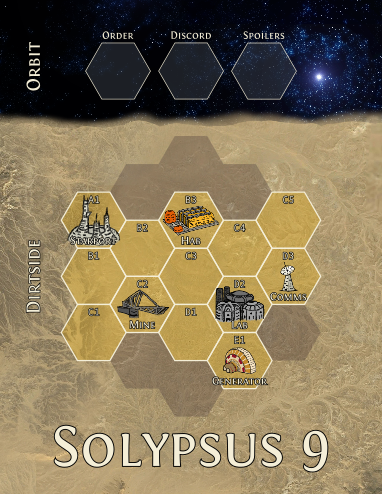 Our current campaign is Solypsus 9, which featured four months of campaign tournaments fighting over a map, and concludes this weekend with an Apocalypse game. Campaign reports have all been posted including some implementation overviews, and a draft of a more formal writeup of the map mechanics is also posted. The map campaign is essentially an entire boardgame in and of itself, much like Diplomacy or Game of Thrones. It enables the alliances to make real strategic decisions in their campaign over the map, but without requiring significant player commitment. They can easily drop in and out of the campaign as they show up for different events or not, change alliances to play a different army, etc., without penalizing themselves or their alliance. The map also ties strongly into the concluding Apocalypse scenario. The bugs make planetfall on Solypsus 9. 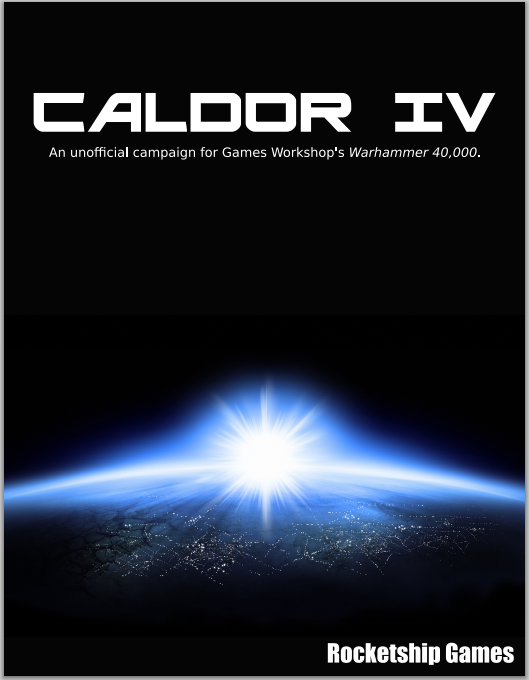 Previous to that was our Caldor IV campaign. The first round was a campaign tournament using some simple mechanics to develop a solid narrative tracking the alliances’ search for a specific relic and a missing VIP. Next was a 40k Kill Team styled skirmish campaign using our improved in-house Recon Squad variant. In that players work to achieve specific legacies, e.g., Sentinels were trying to defend installations, while Assassins were trying to assassinate leaders. That sequence concluded with a mini-Apocalypse team battle. Campaign reports for each were posted, and a draft polished writeup of the mechanics is also available. Some of the text is not complete, but the search mechanics are written up, along with all the cards needed for that as well as the skirmish legacies and missions. A notable aspect of the search mechanics are that each alliance has a definite, randomized story and progression, but it’s perfectly secret. Even the TO can play and not know the outcome or any special information. 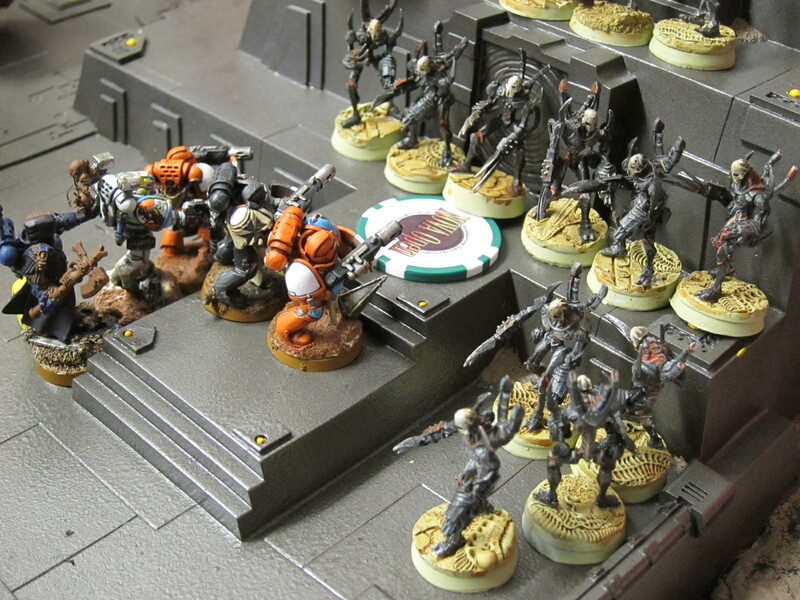 As mentioned early in this post, some years back we ran a Combat Patrol tournament league that had a very slight narrative, but was an unadulterated tournament with true pairings and standings. Each mission featured asymmetric setup and goals, with matches consisting of two games with players alternating sides. The results then fed into a very simple narrative about the success or failure of a planetary invasion and quest for a specific site, wholly abstracted from specific players and even alliances. Those missions and a few details are still online. Although not a tournament, for years our club has also had a series of annual Apocalypse matches that have developed an important shared club narrative over the years. 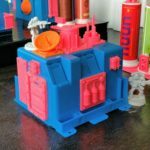 Most of that has been developed with few mechanical connections and instead mostly through forum discussions, telling tall tales, and the shared experience. However, there have been some connections, such as specifically crafting this year’s scenario as the final siege at the end of an epic campaign. The battle report talks a little bit about bringing those narrative elements and balance into a fairly large Apocalypse battle. Recap of this year’s Apocalypse grudge match, The Fall of Kimball Prime. All in all, our experience has been that although not without its challenges and certainly including some tradeoffs, “narrative tournament” is by no means a contradiction in terms. Such events can actually be highly rewarding and enjoyable for a large swath of players, as well as working toward larger community goals. We’d love to talk about it more, and if you’re in the Philadelphia, Pennsylvania (USA) area you should come out and join us!